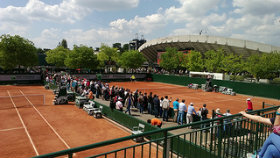 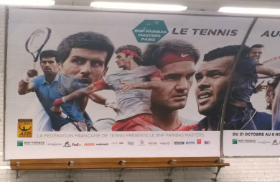 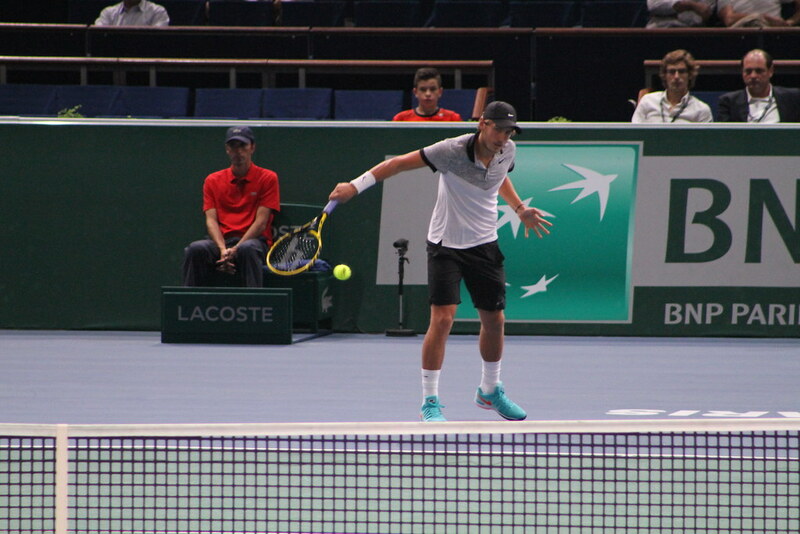 Roger Federer vs Lucas Pouille. 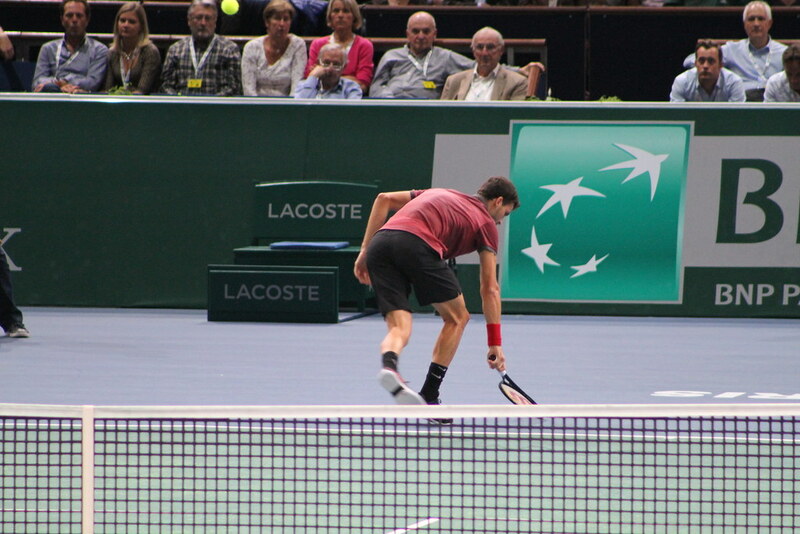 World number 2 vs world number 176. 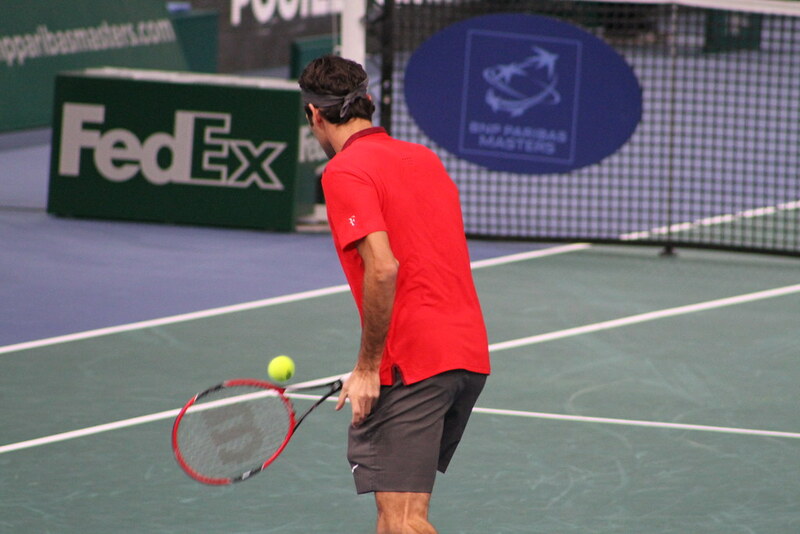 A 17-time Grand Slam champion vs a player taking part to his first Masters 1000 event. 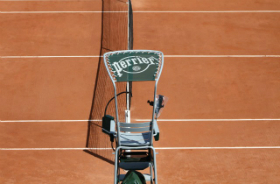 Prior to this week, Pouille had only won one tour-level match, against Alex Kuznetsov last year at Roland Garros. 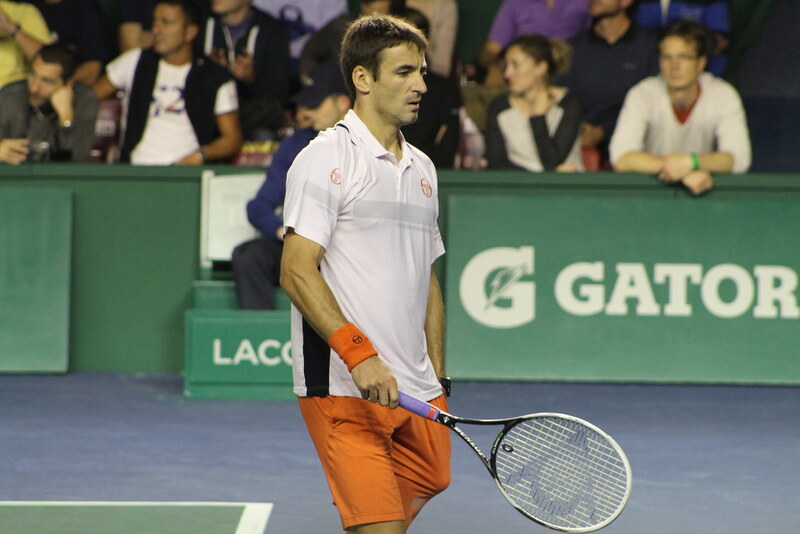 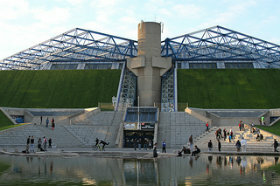 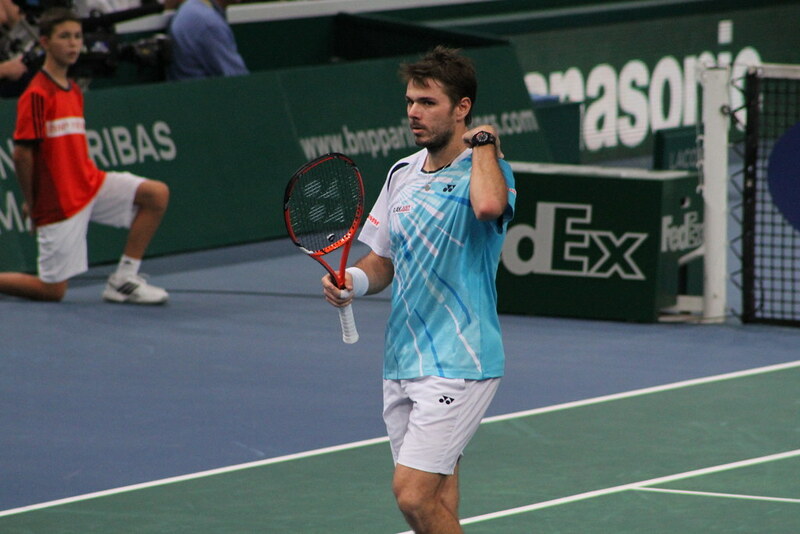 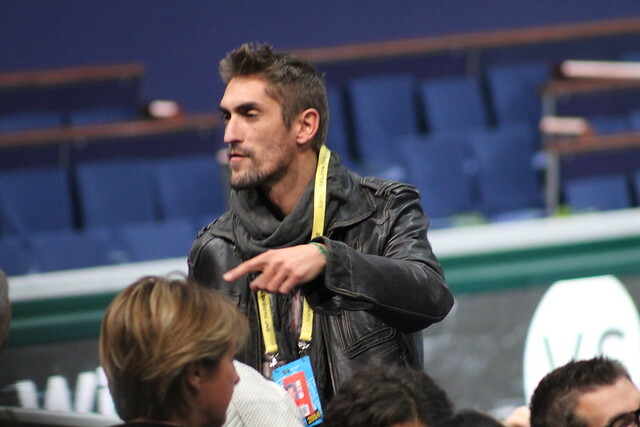 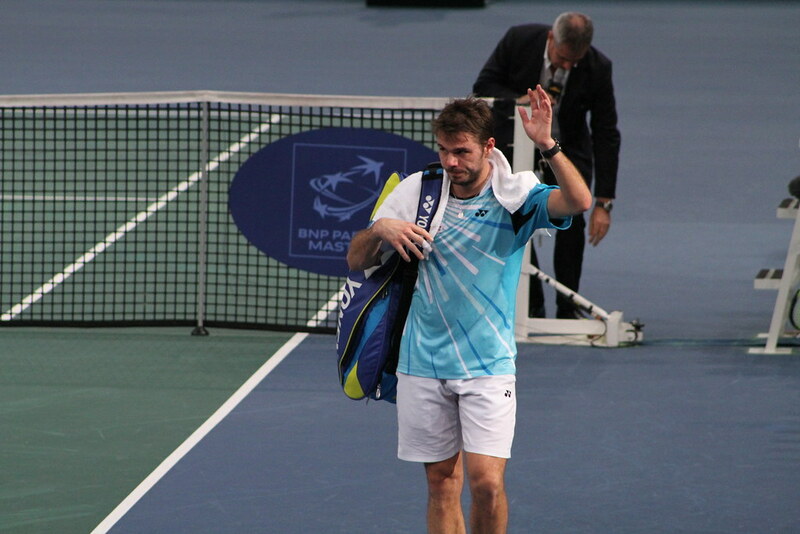 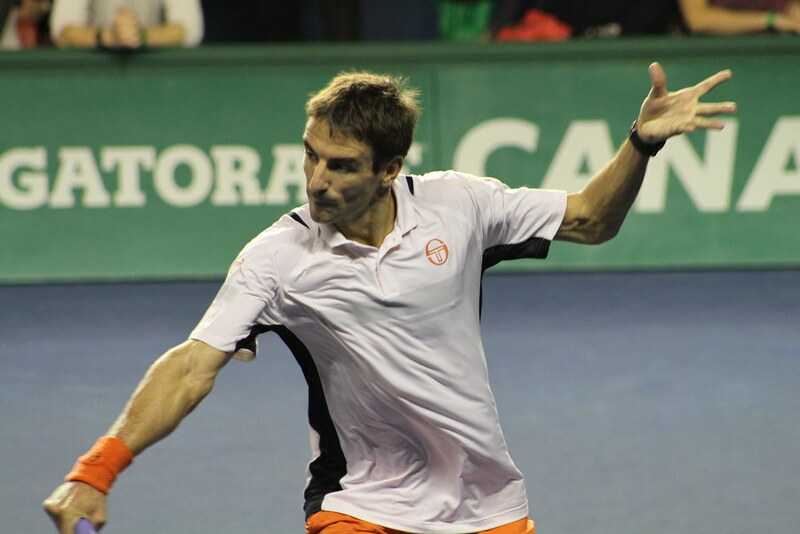 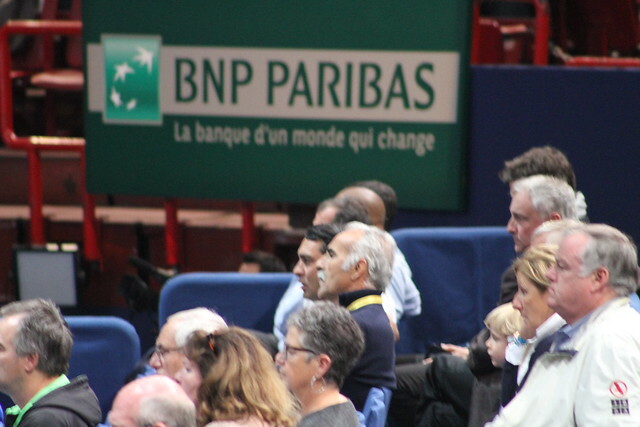 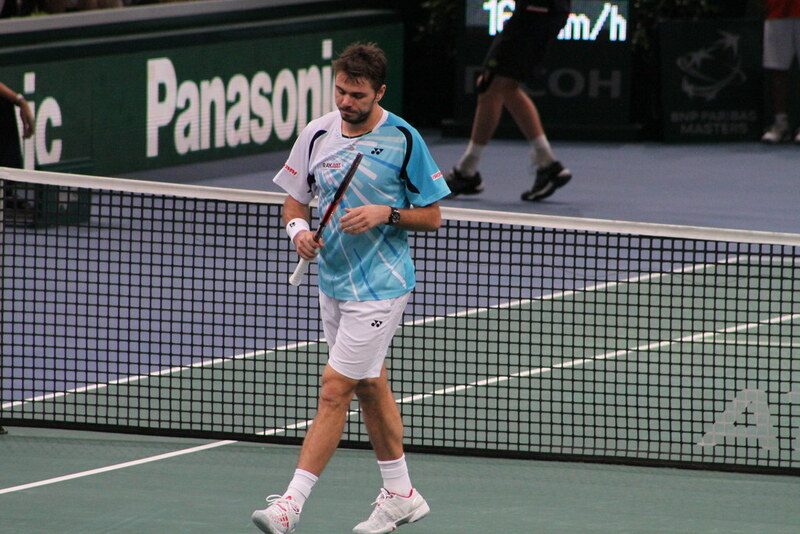 He beat Steve Johnson and Jarkko Nieminen in the qualifiers, and then Ivo Karlovic and Fabio Fognini in the main draw to reach the third round here in Bercy. 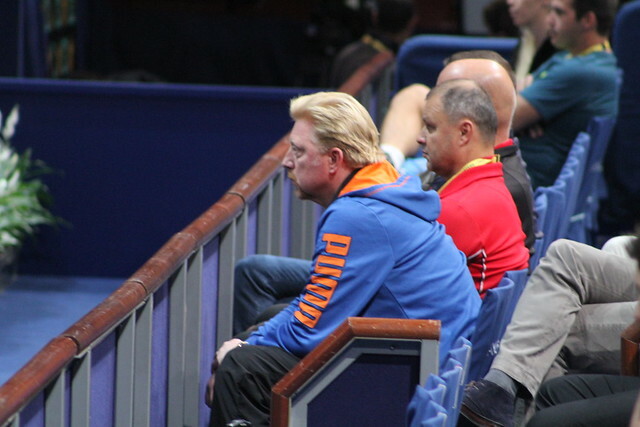 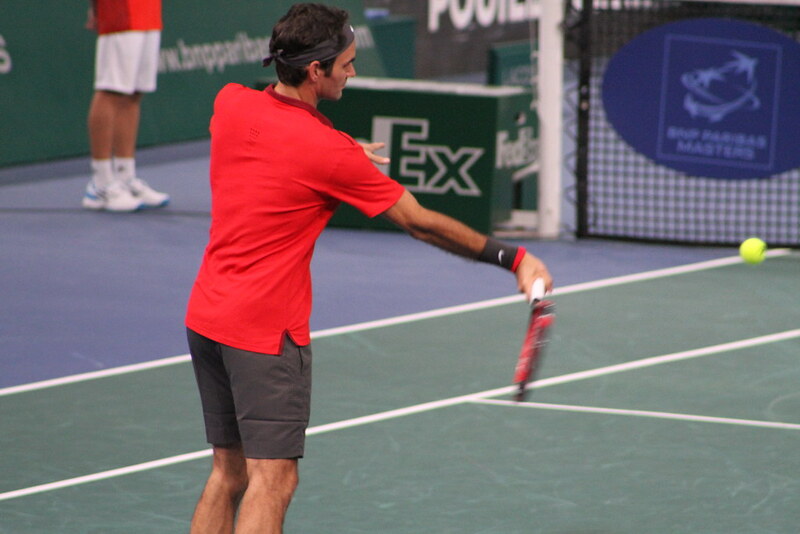 The match seemed unbalanced on paper, but not so much on the court. 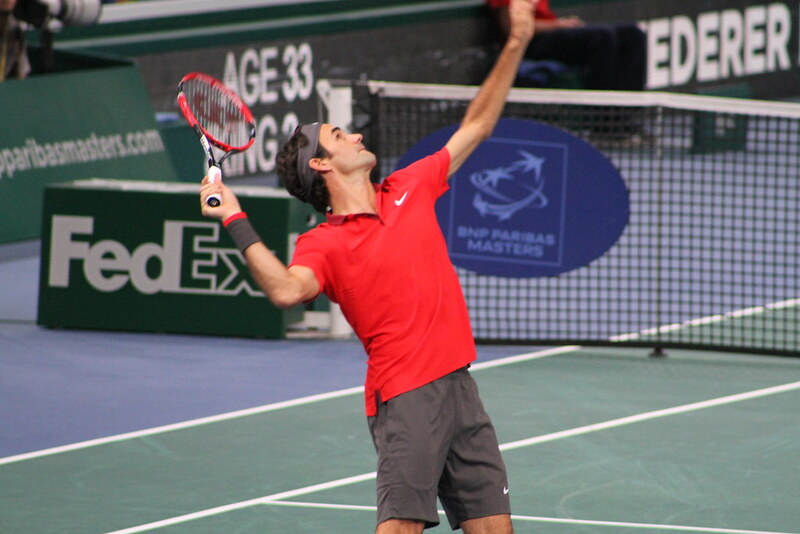 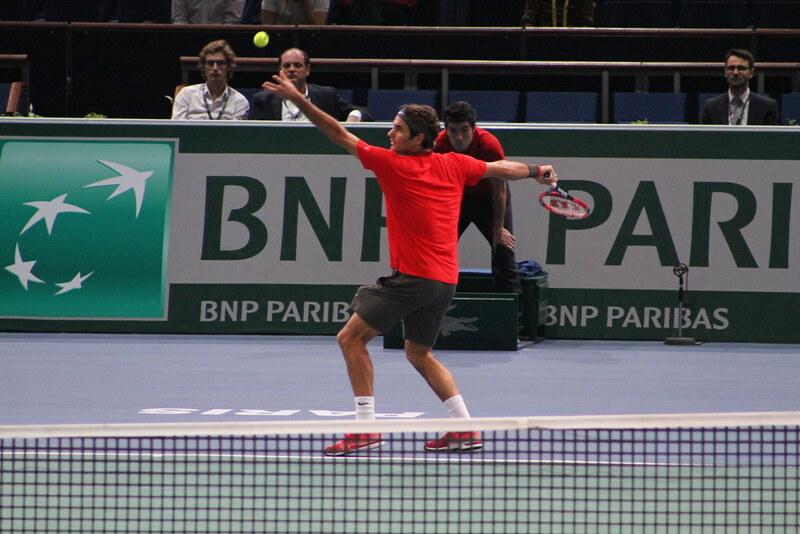 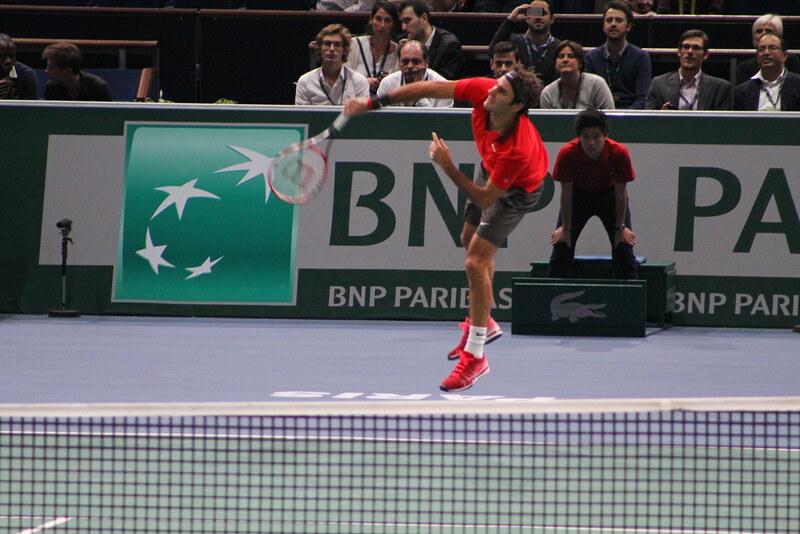 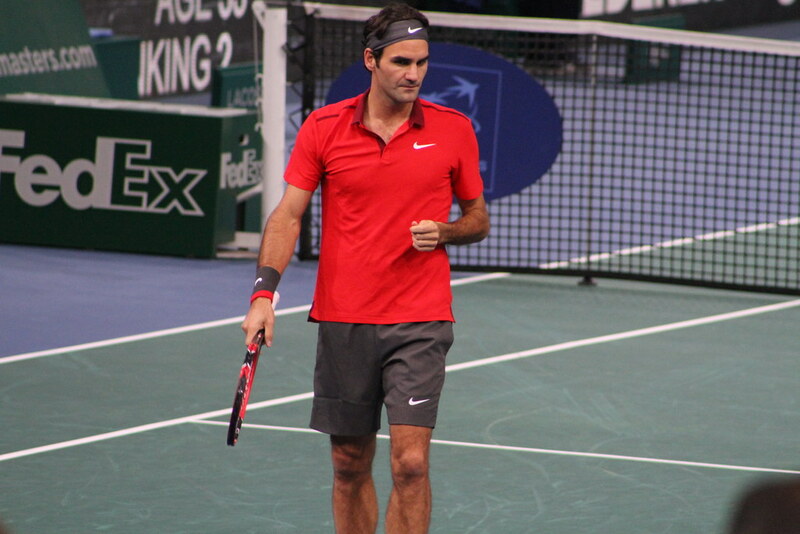 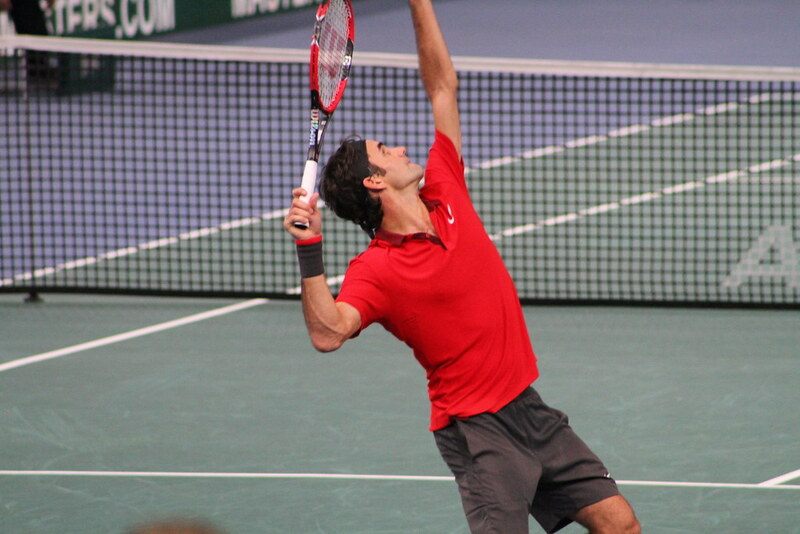 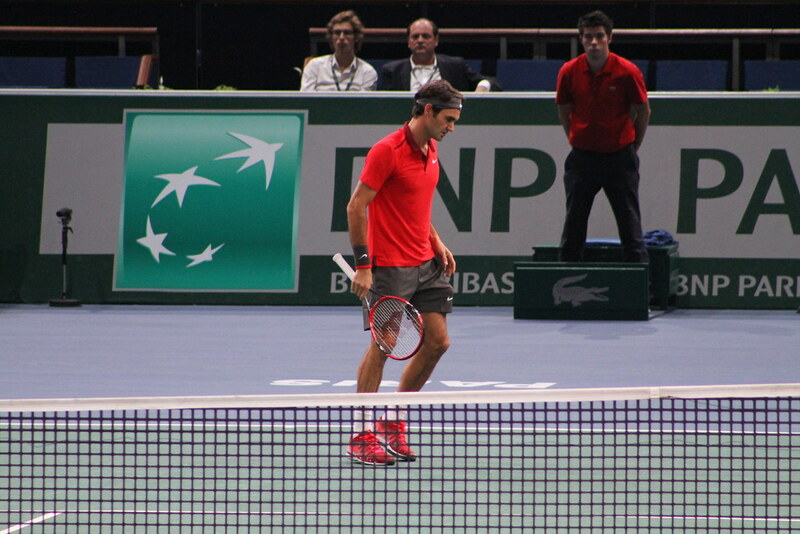 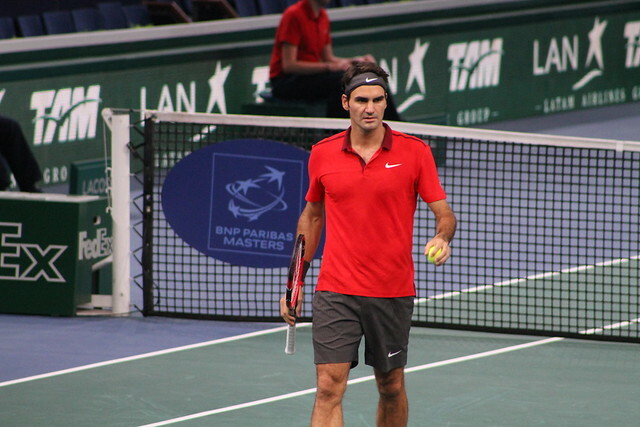 Federer won with relative ease 6-4 6-4, but I wasn’t impressed by his playing level. 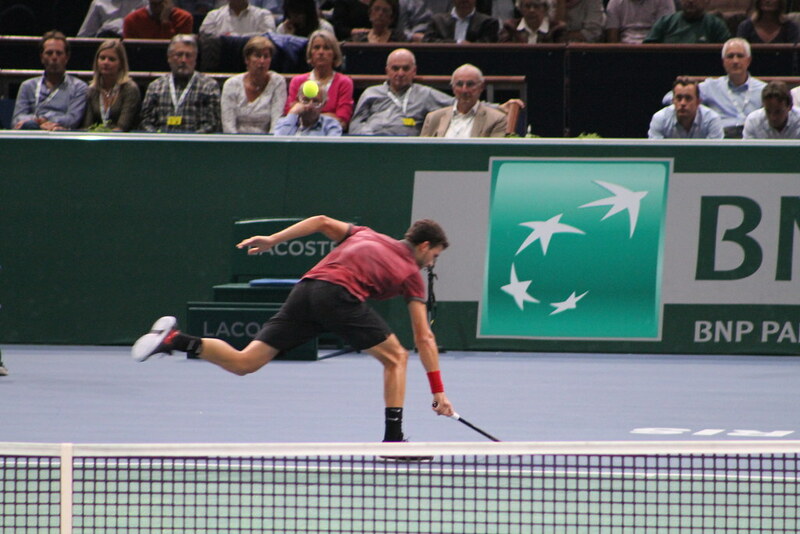 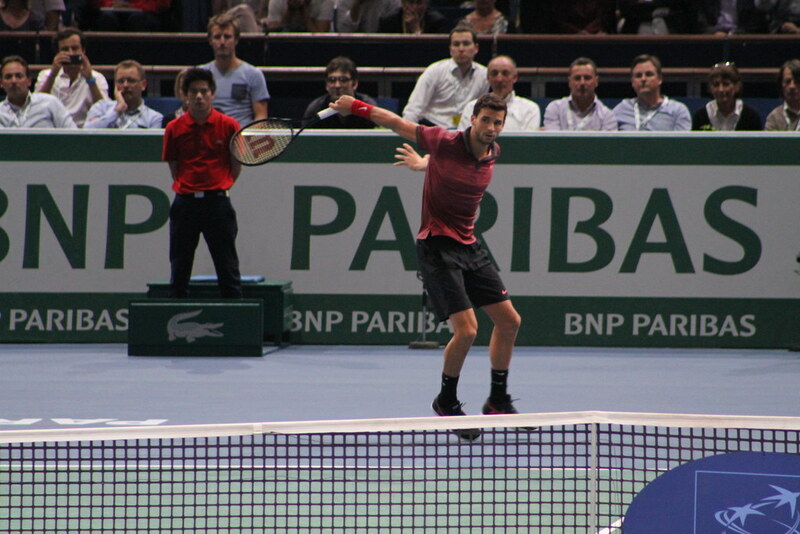 And I still don’t get why he doesn’t play more serve and volleys in such a game. 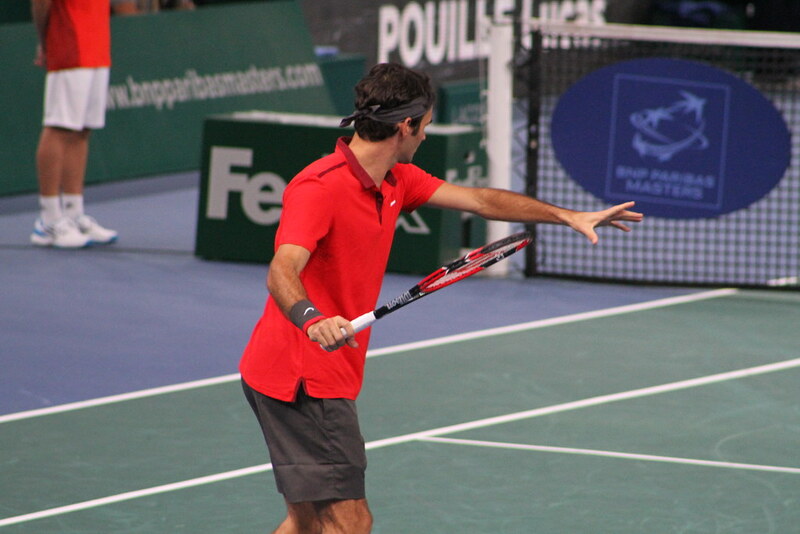 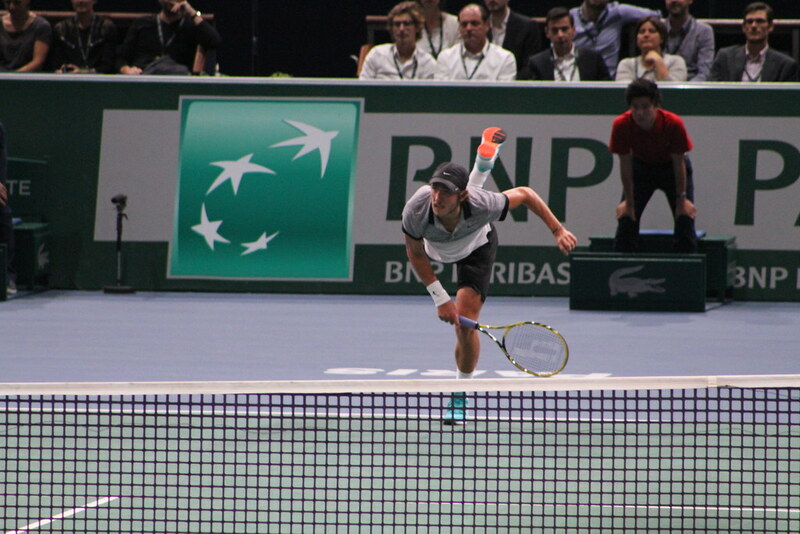 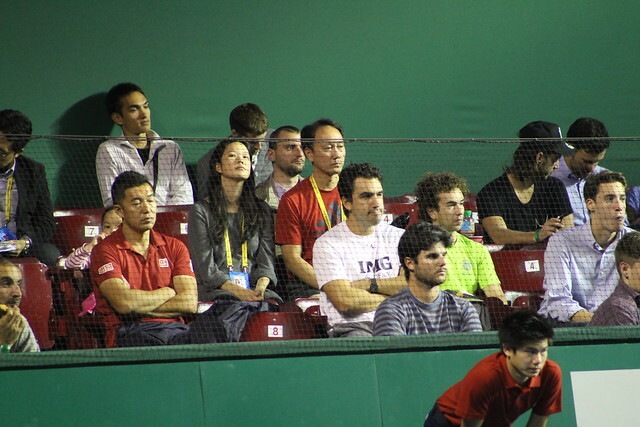 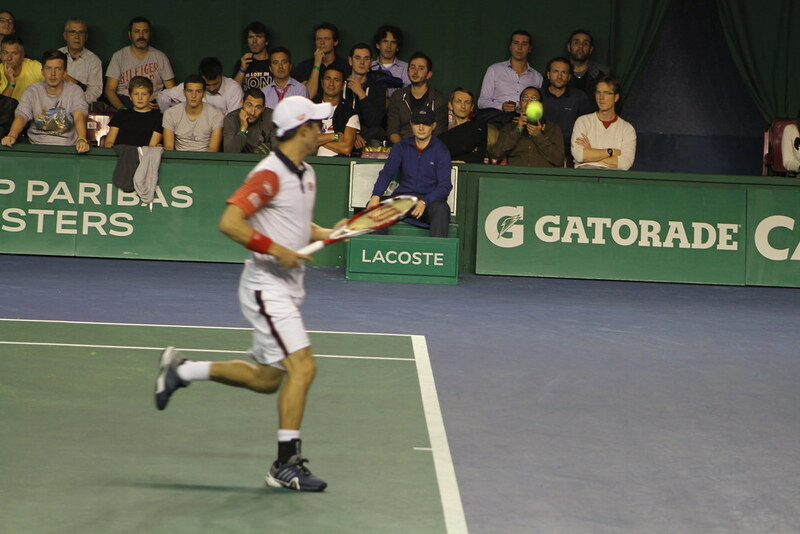 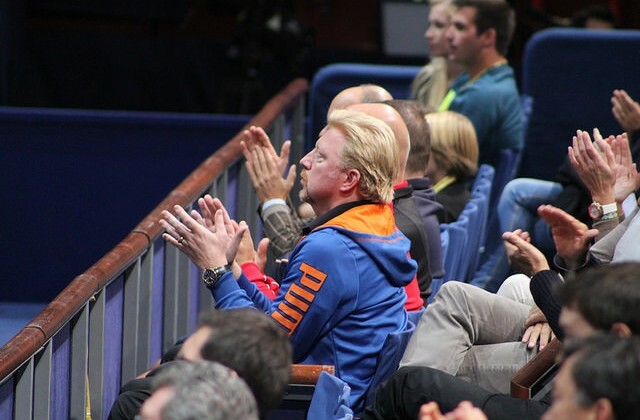 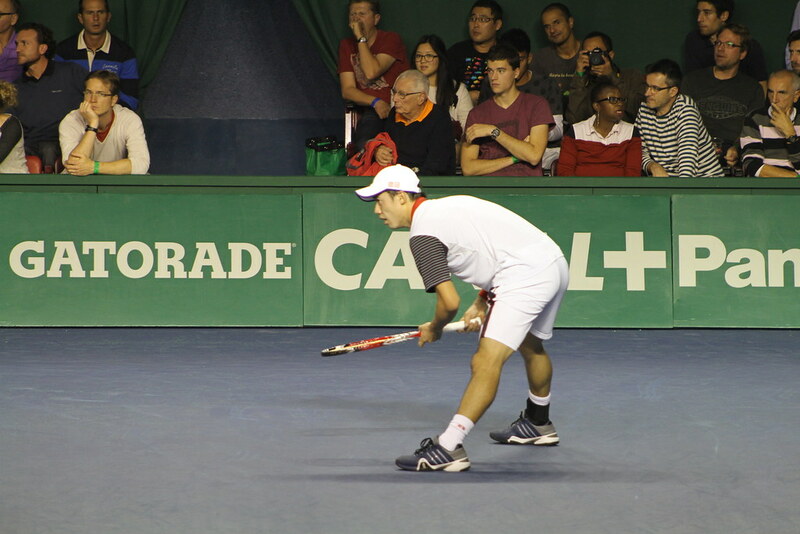 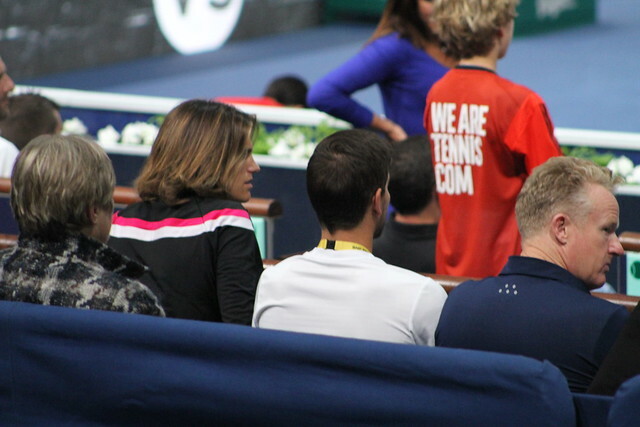 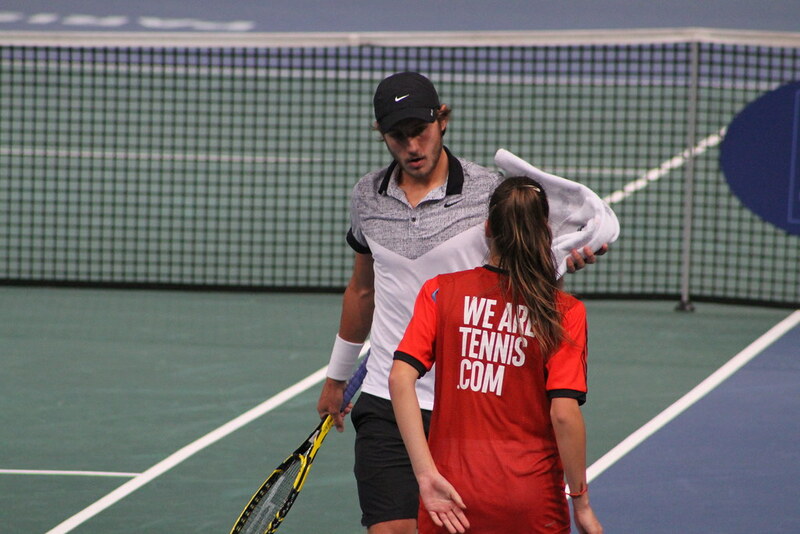 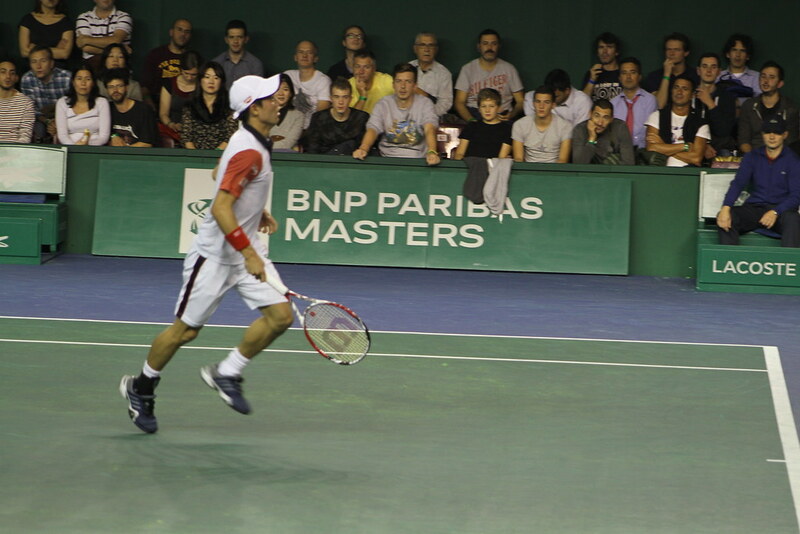 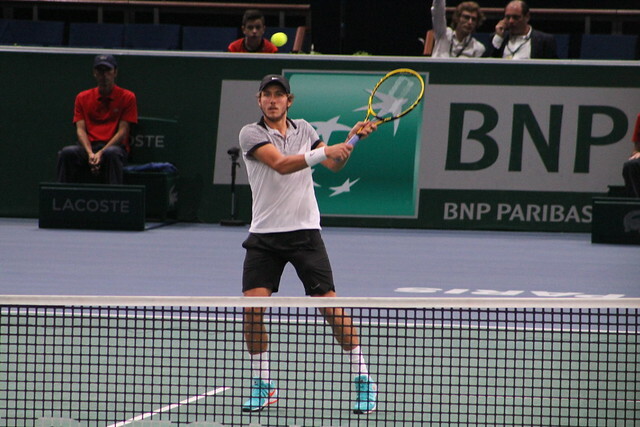 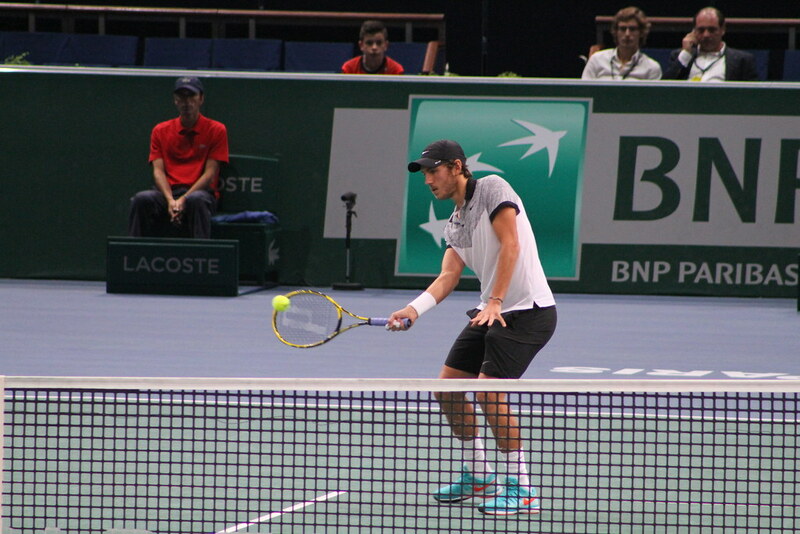 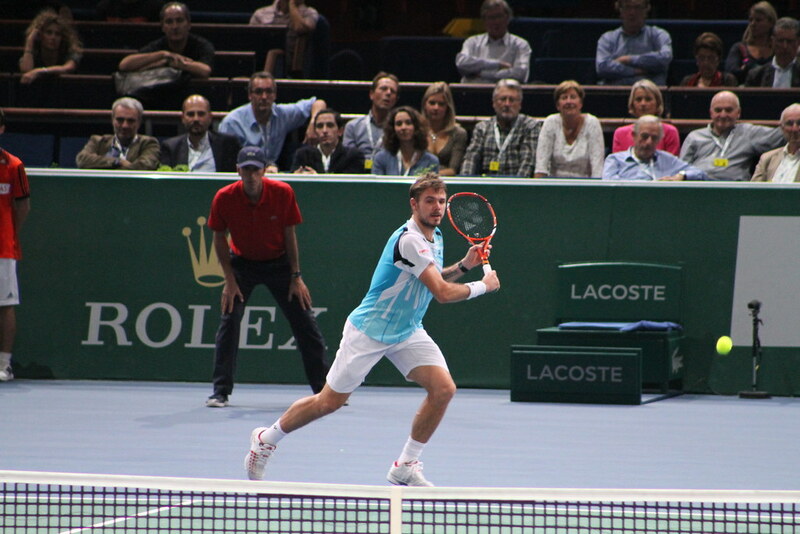 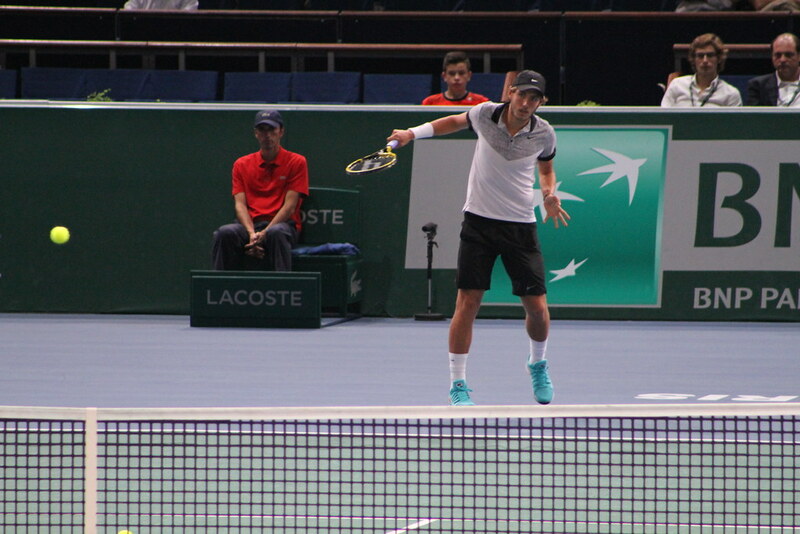 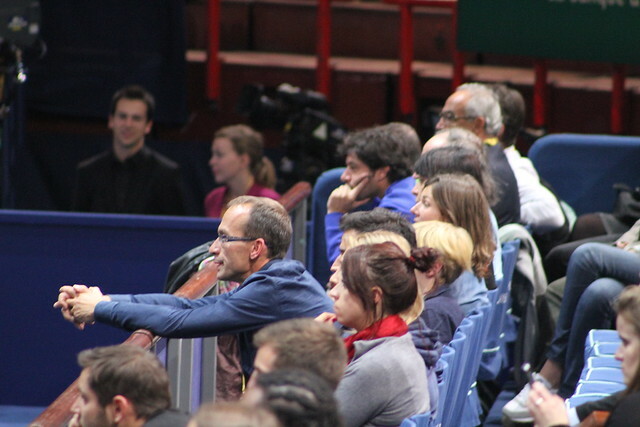 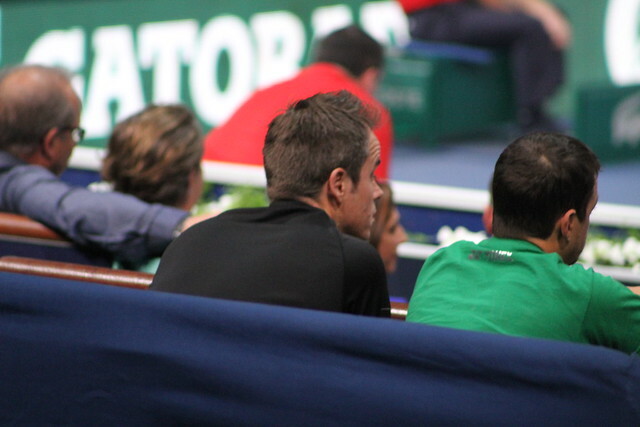 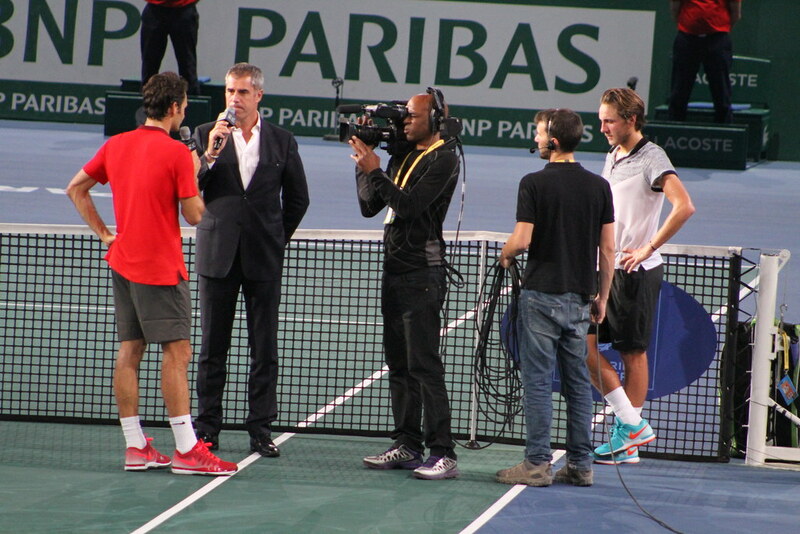 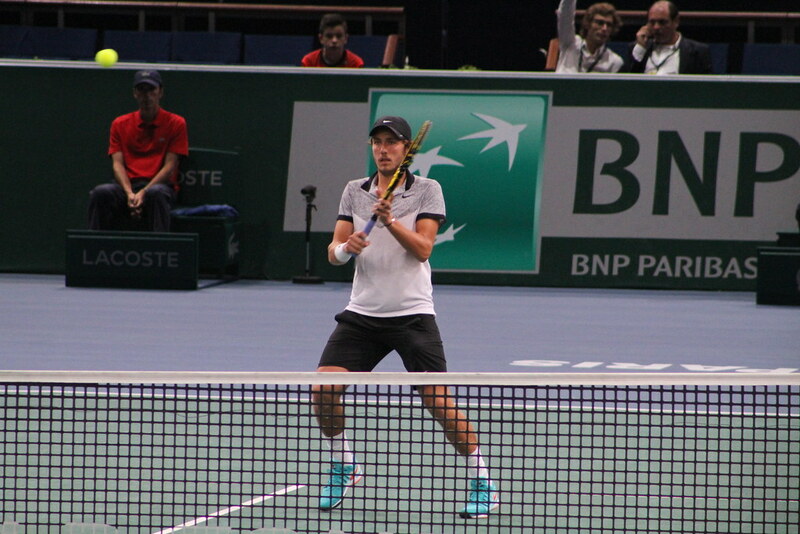 As for Lucas Pouille, he did not seem impressed to play his idol Roger Federer in front of 12,000 people. 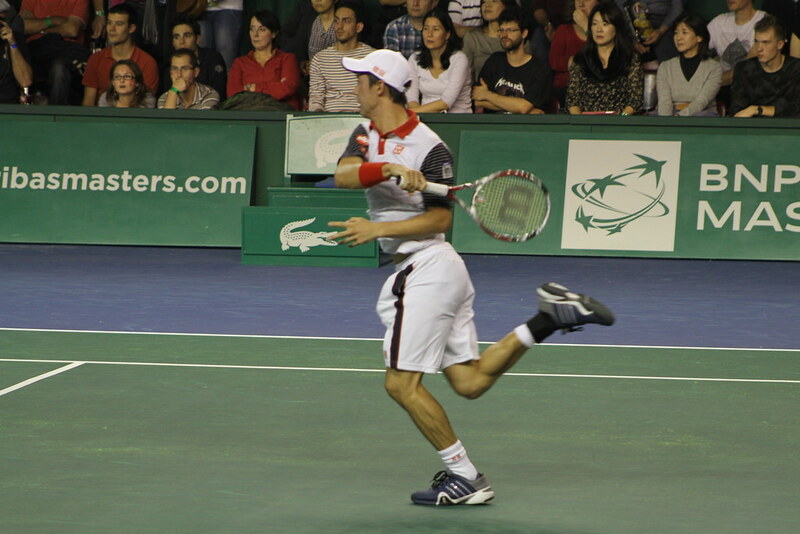 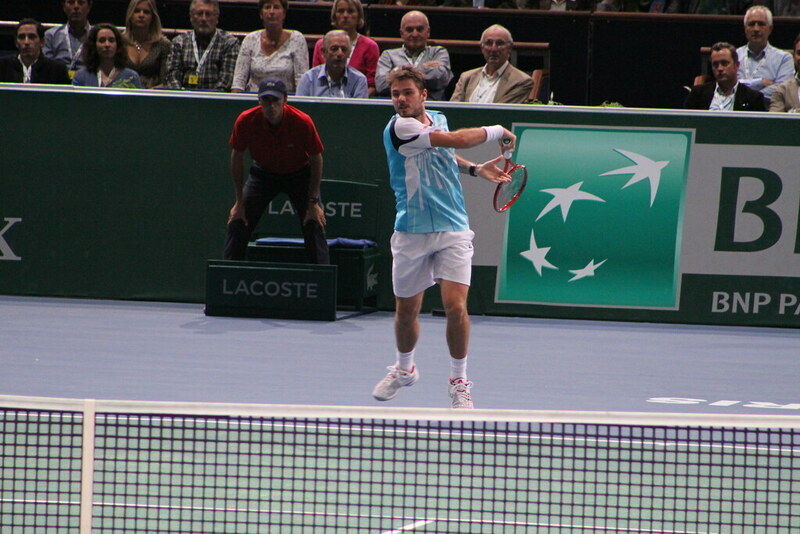 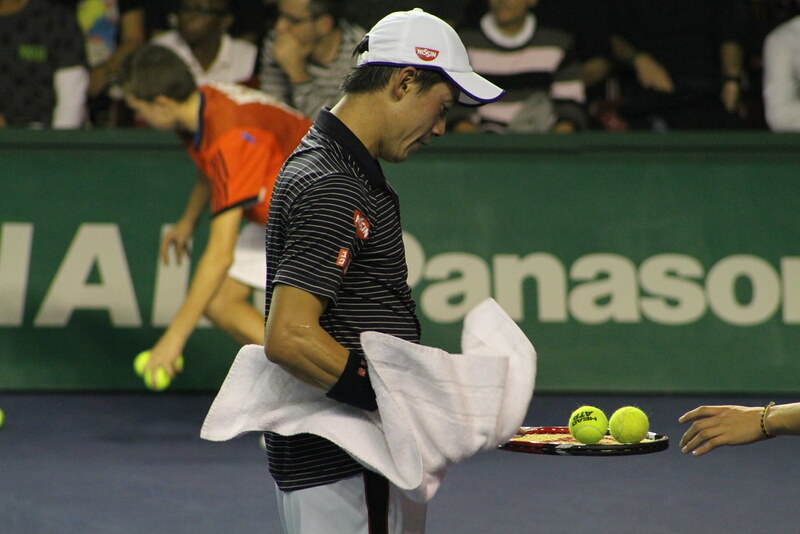 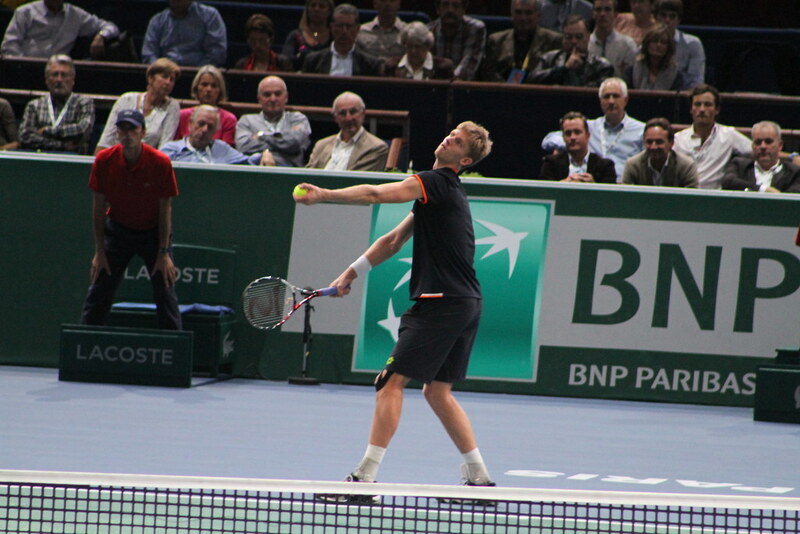 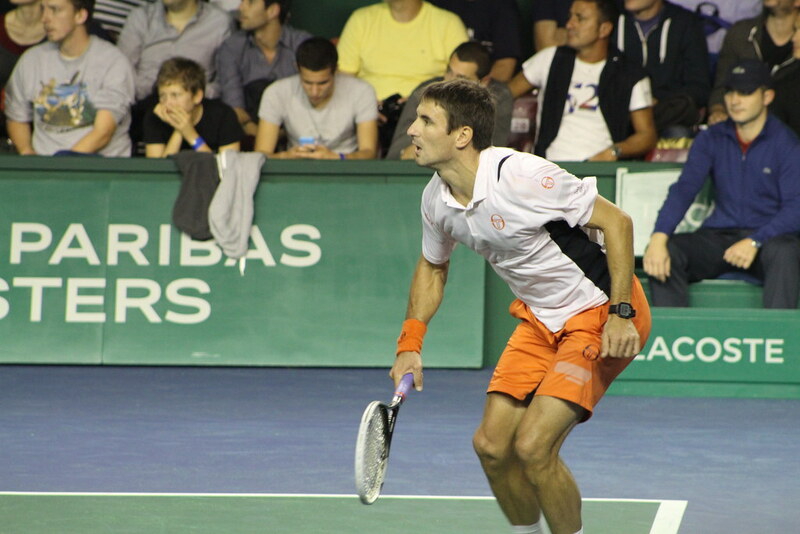 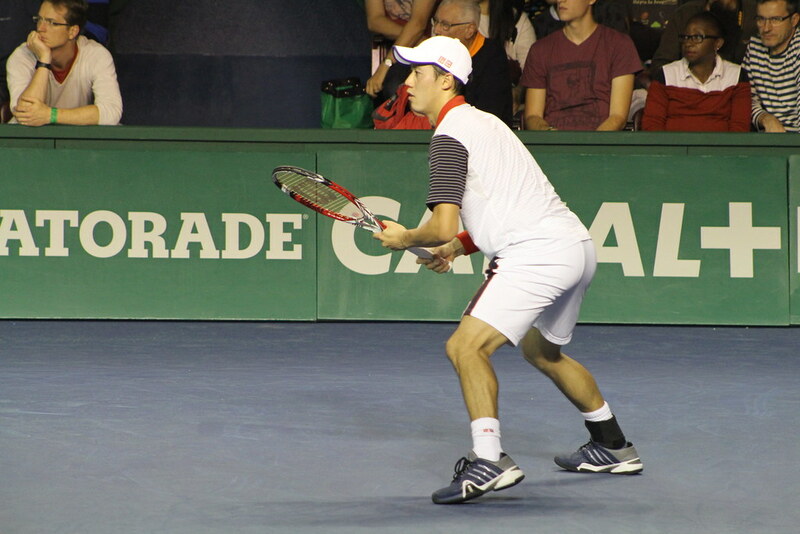 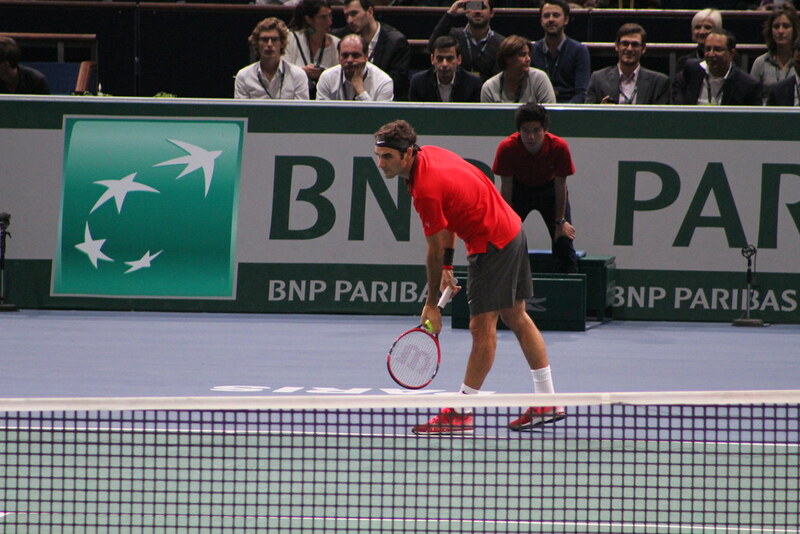 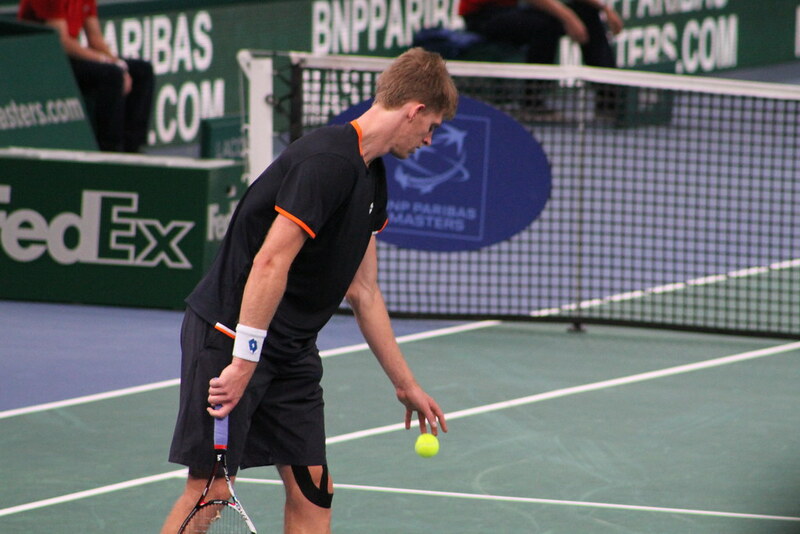 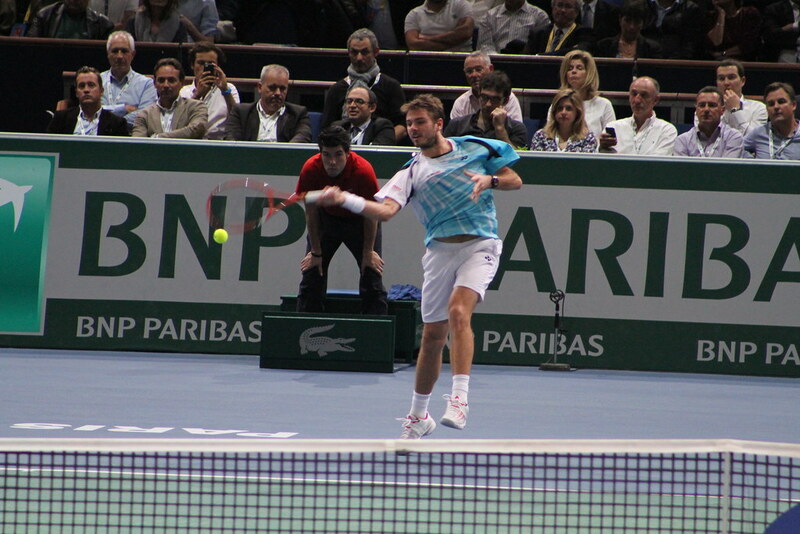 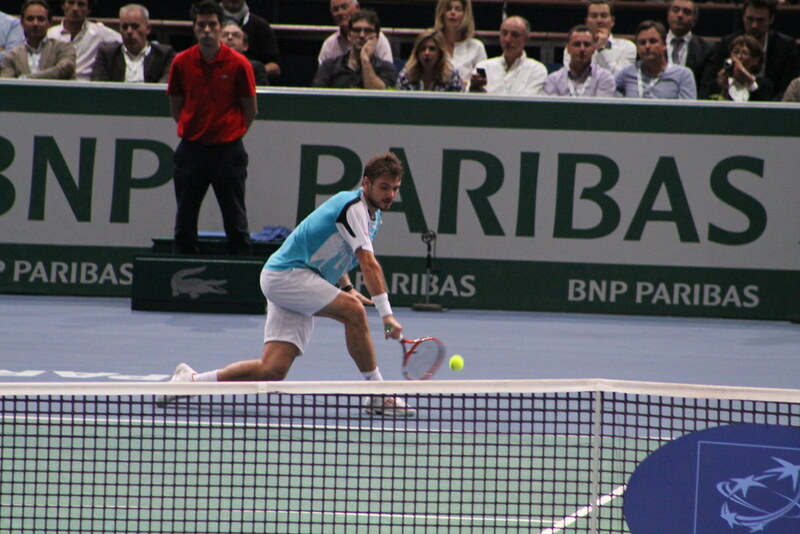 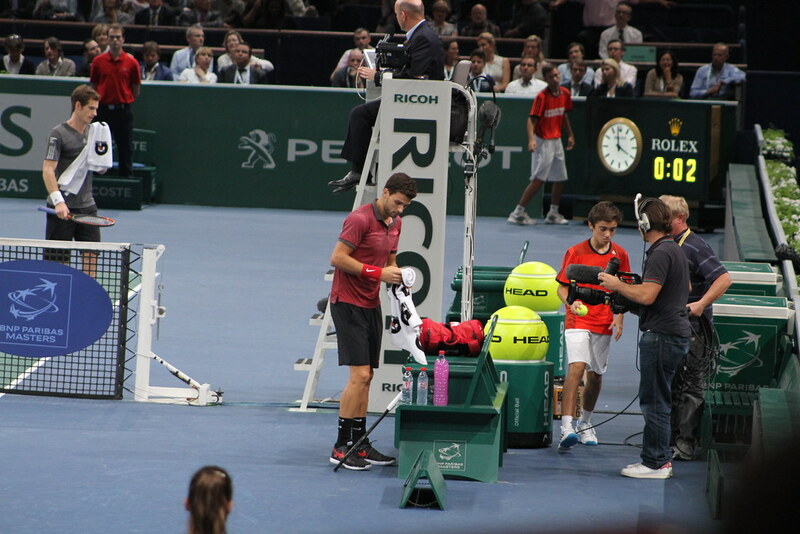 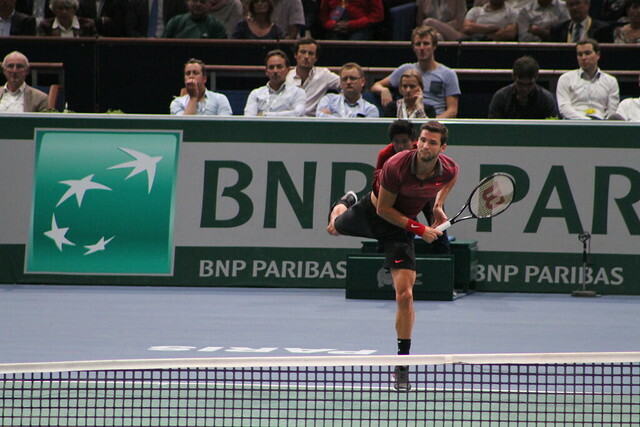 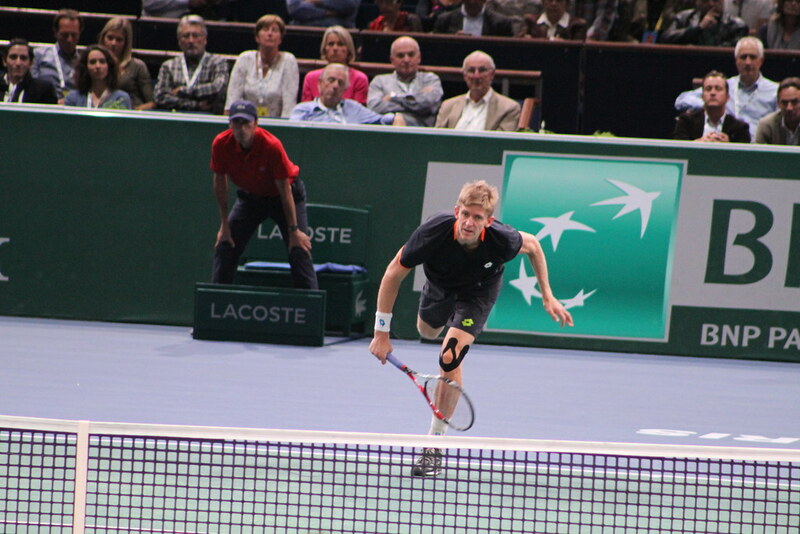 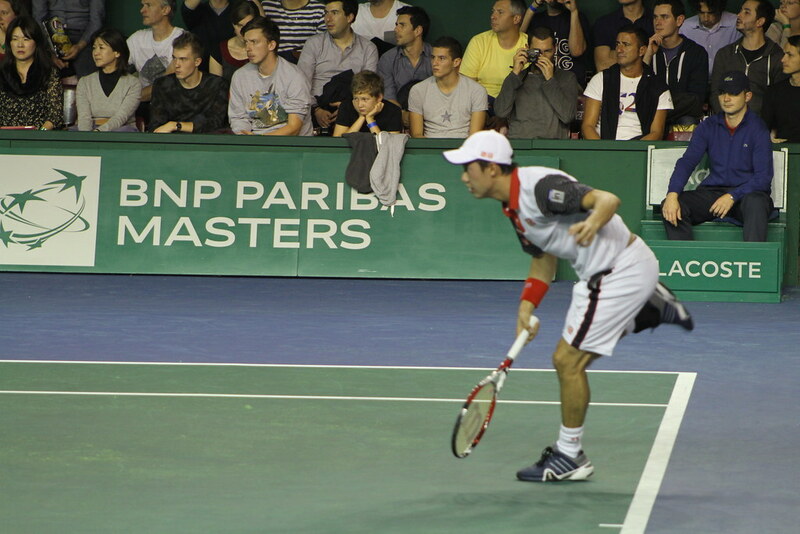 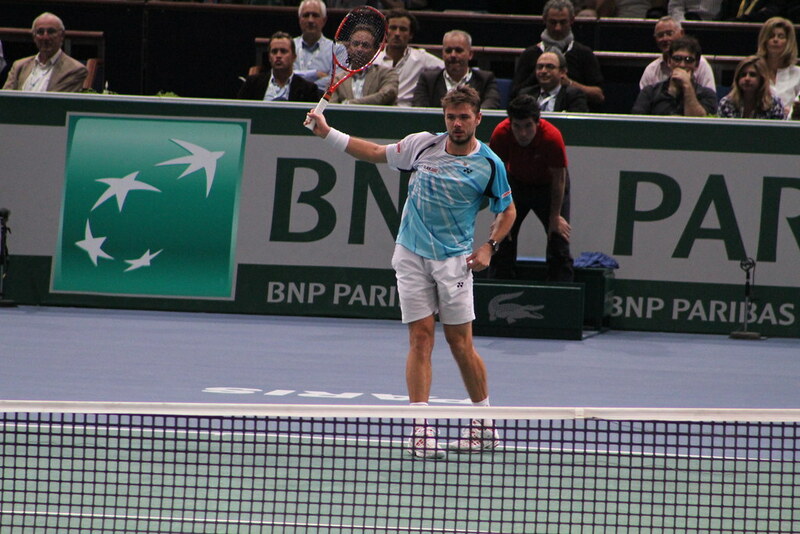 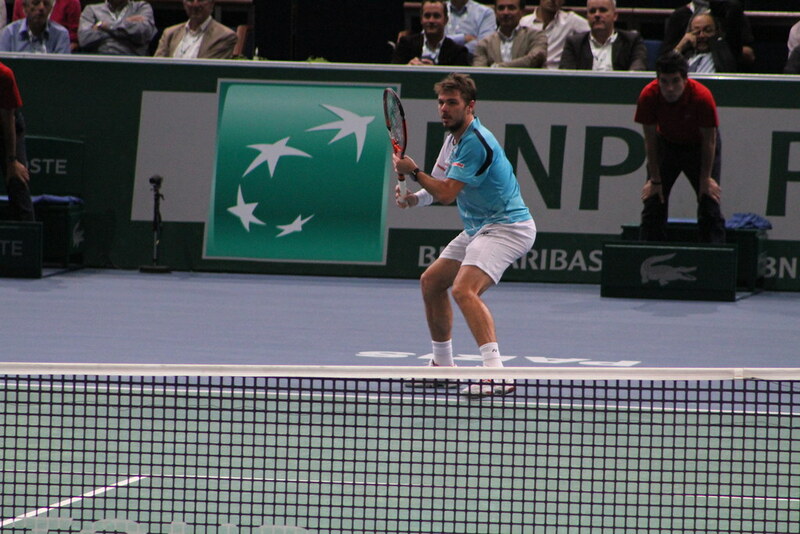 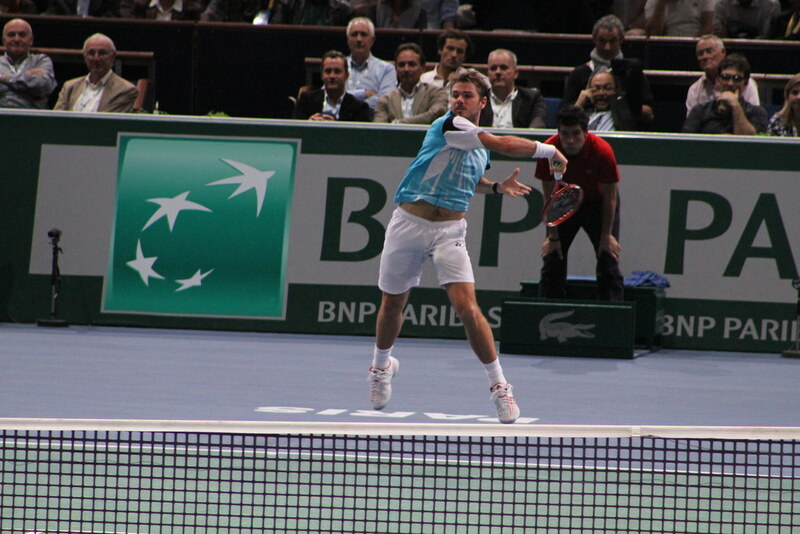 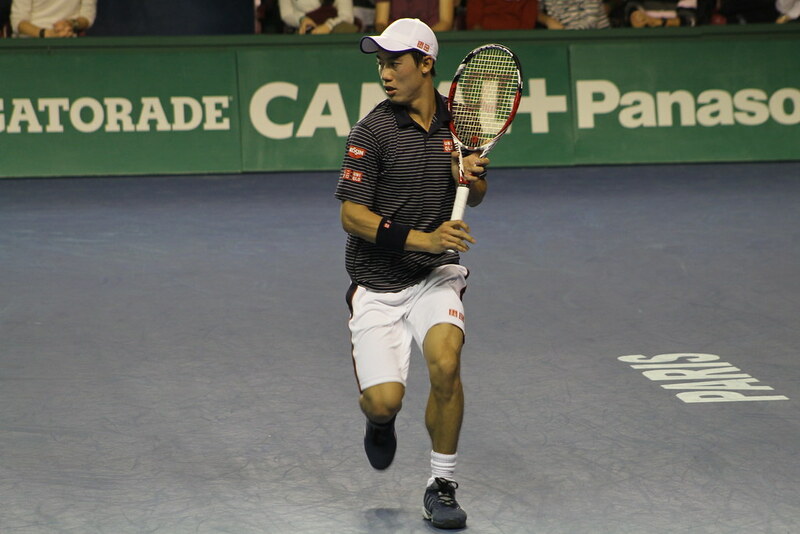 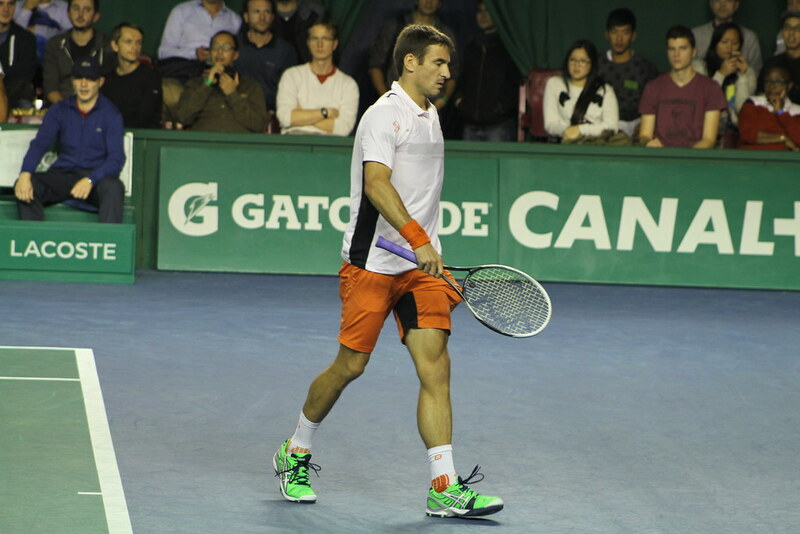 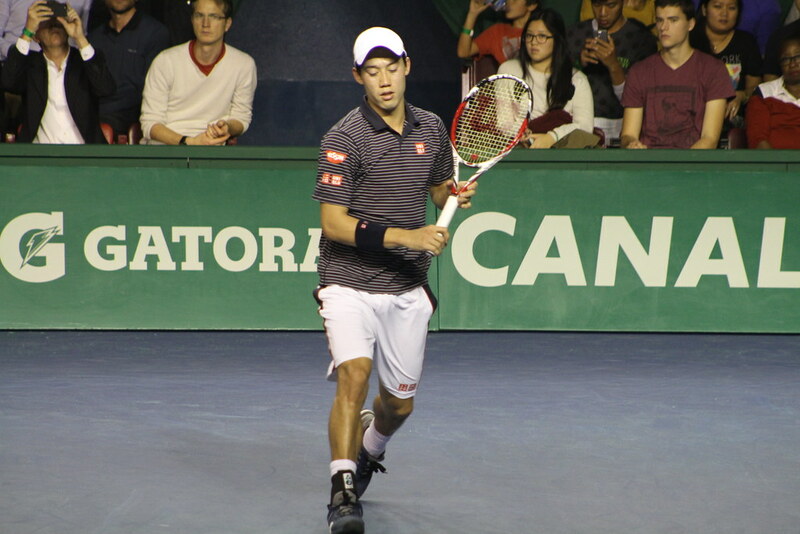 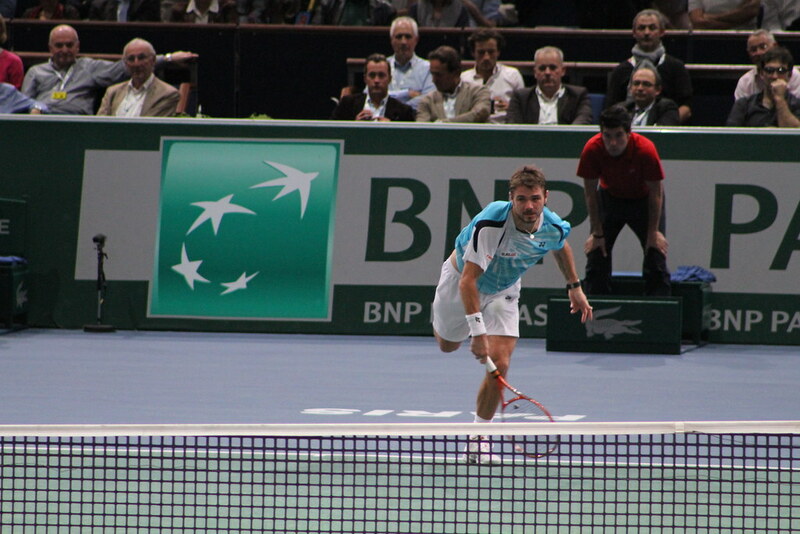 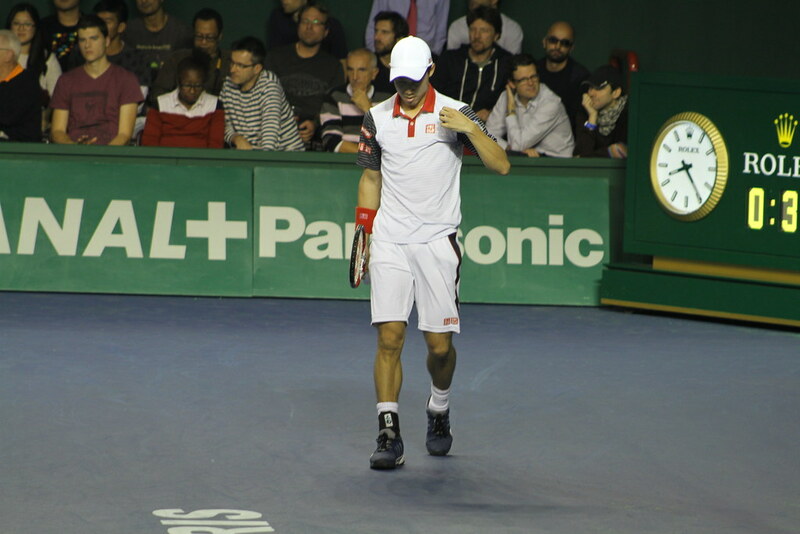 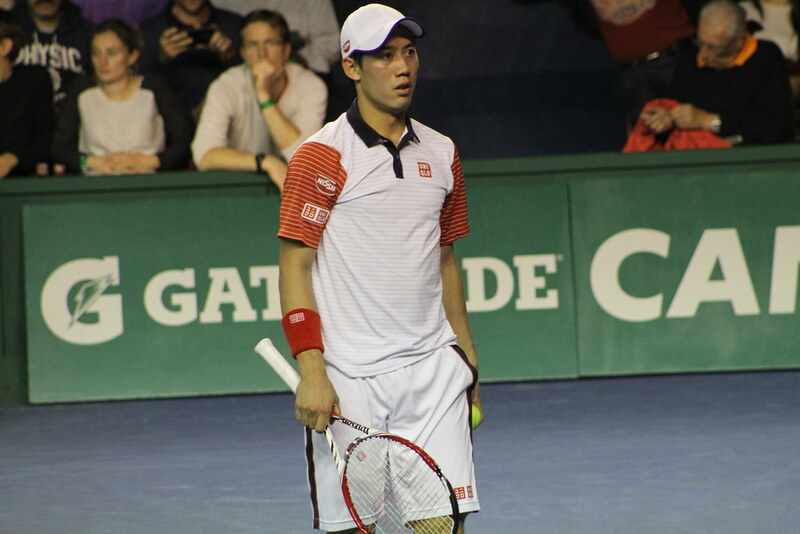 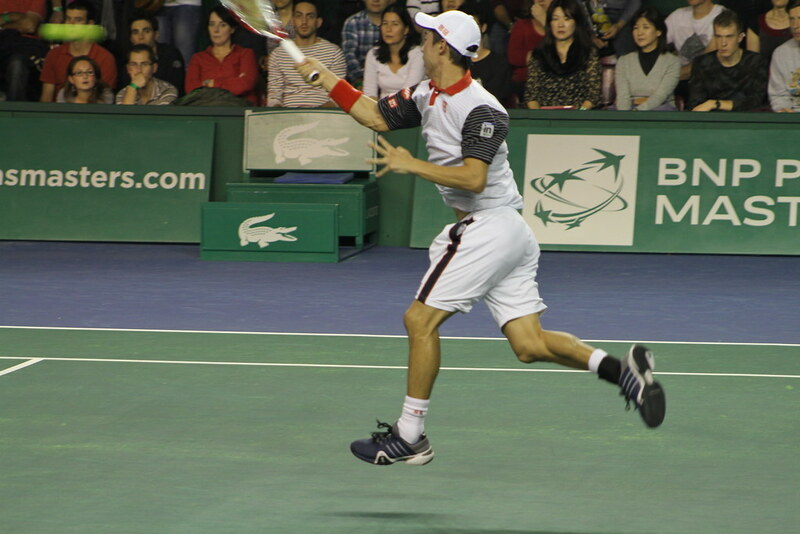 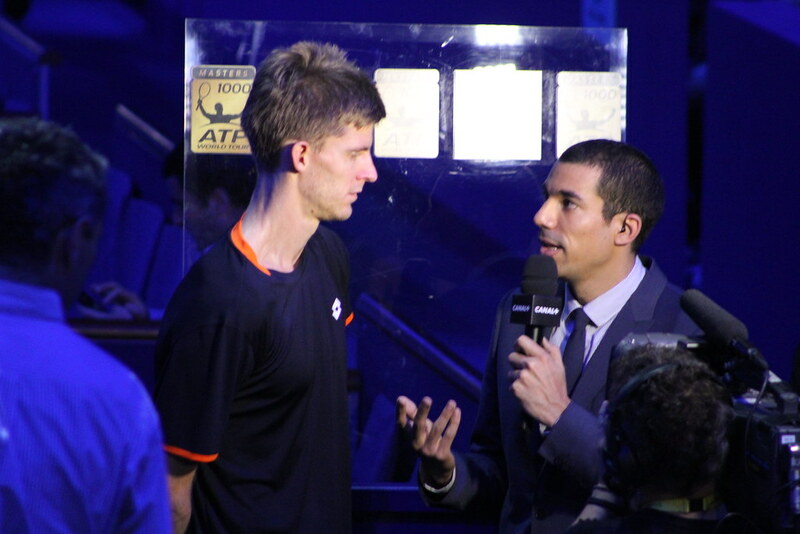 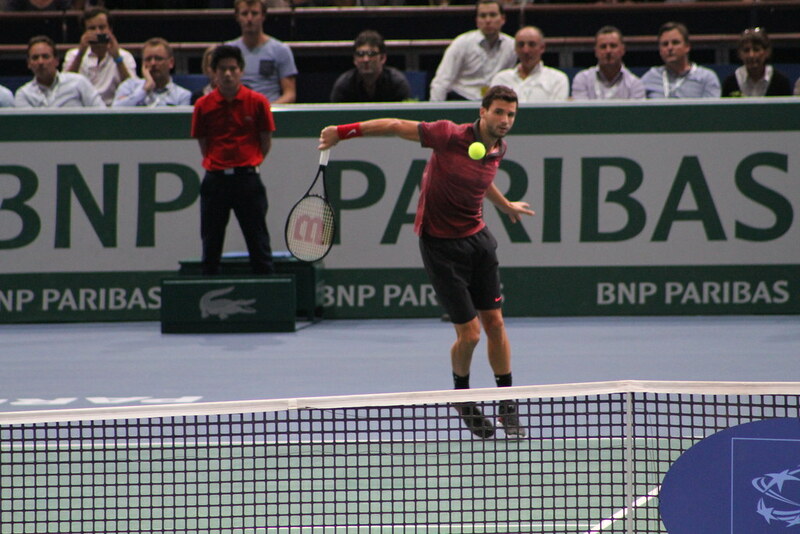 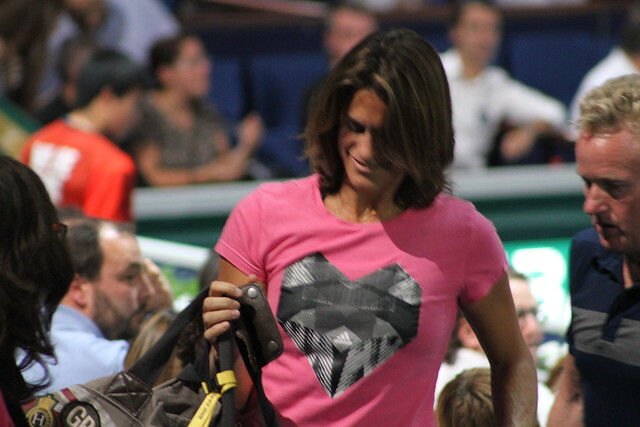 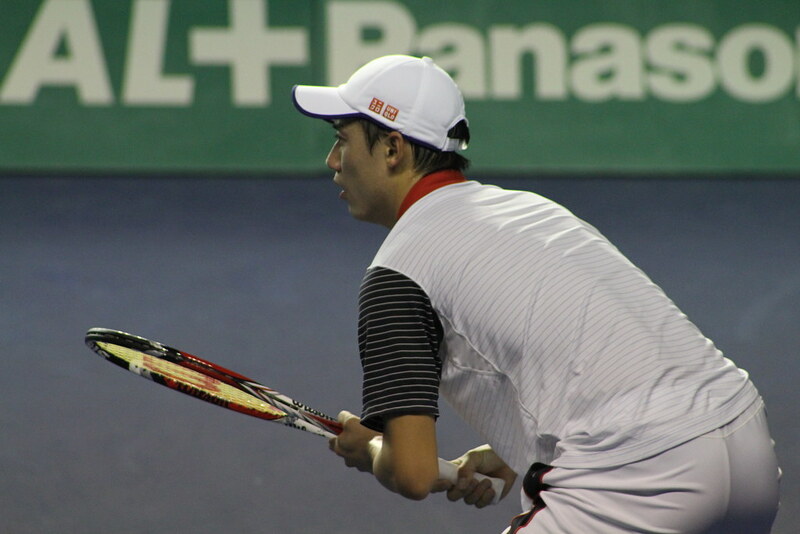 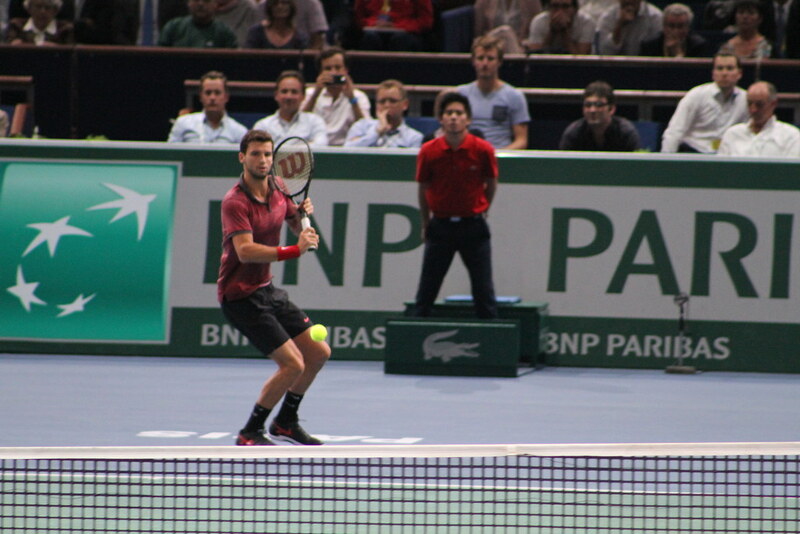 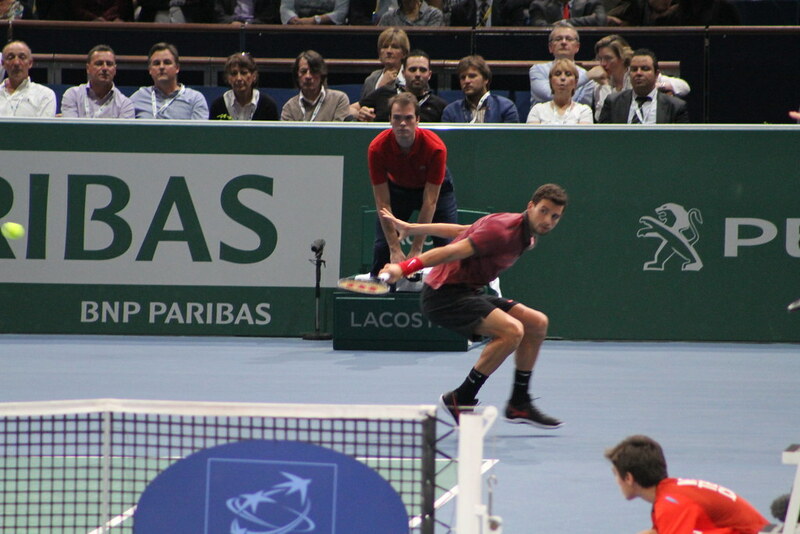 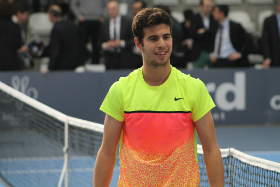 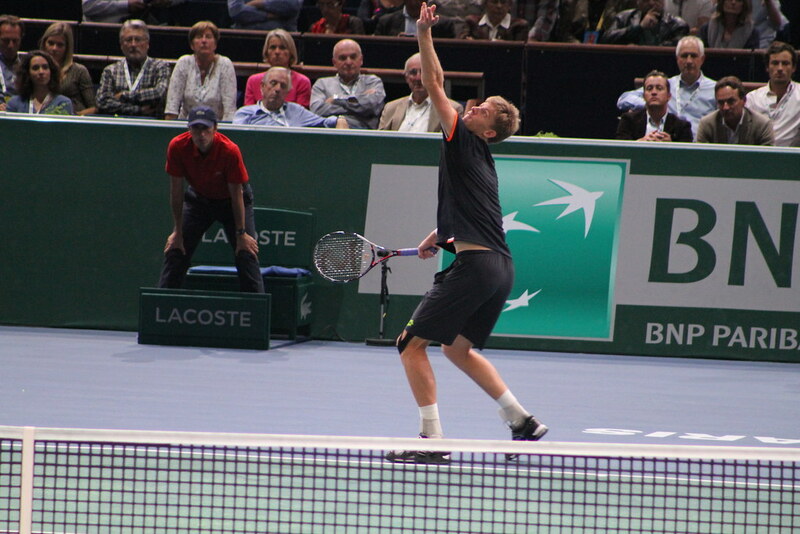 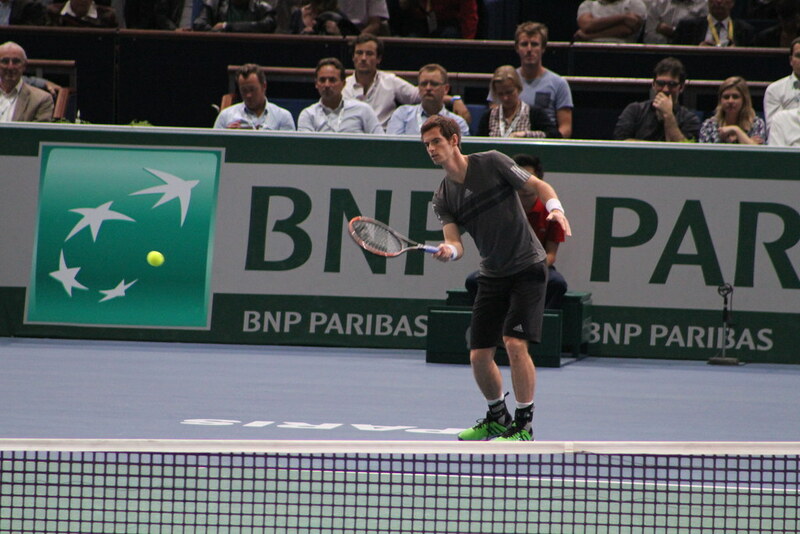 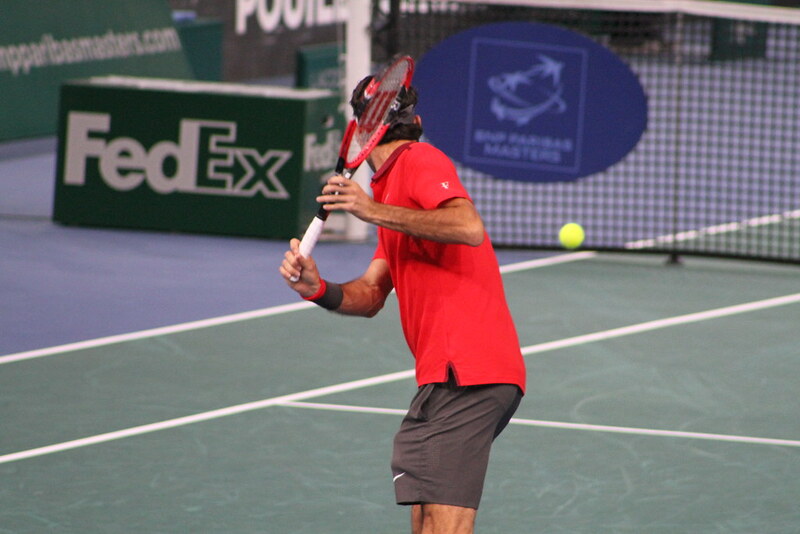 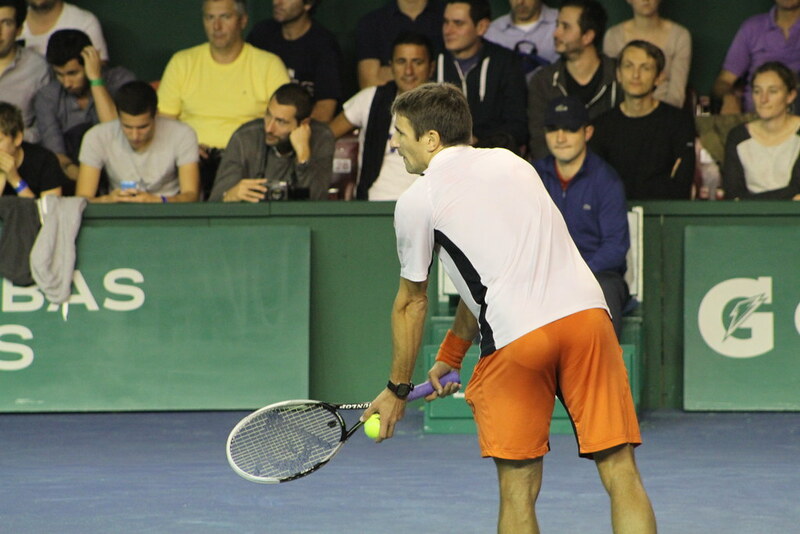 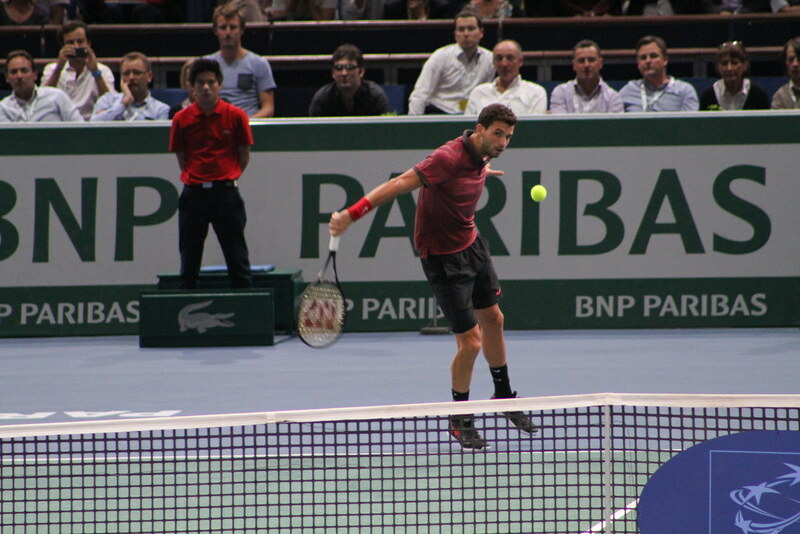 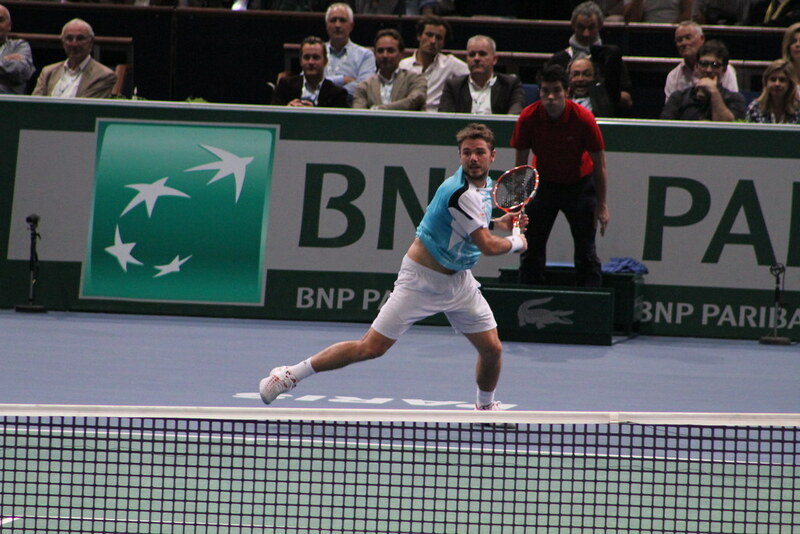 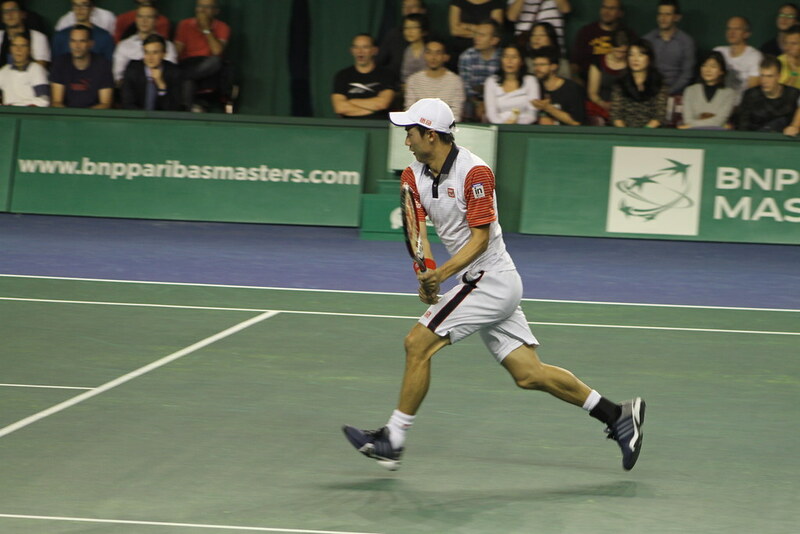 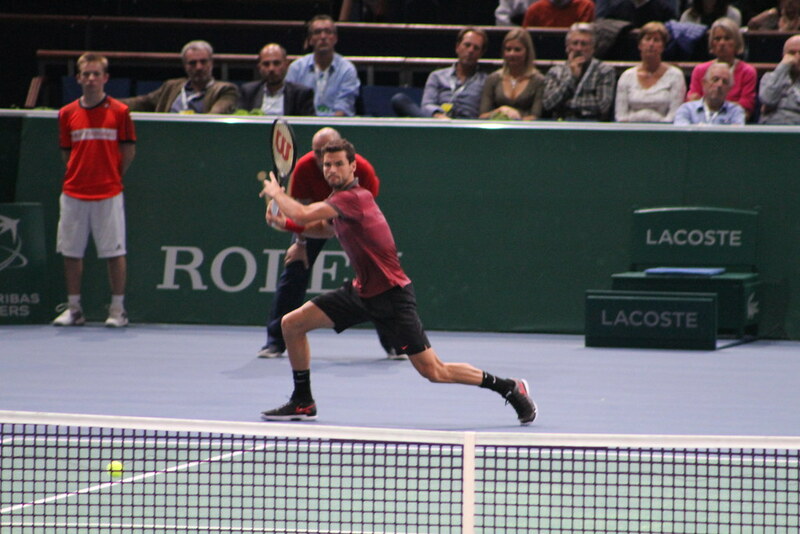 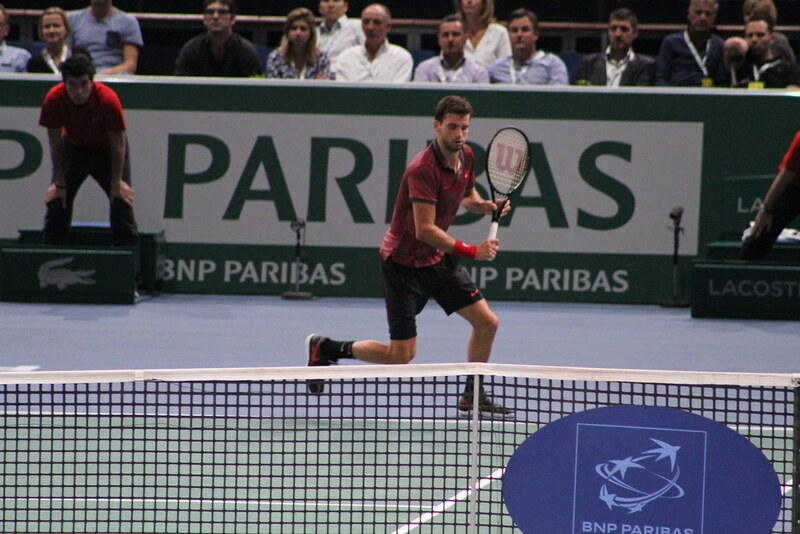 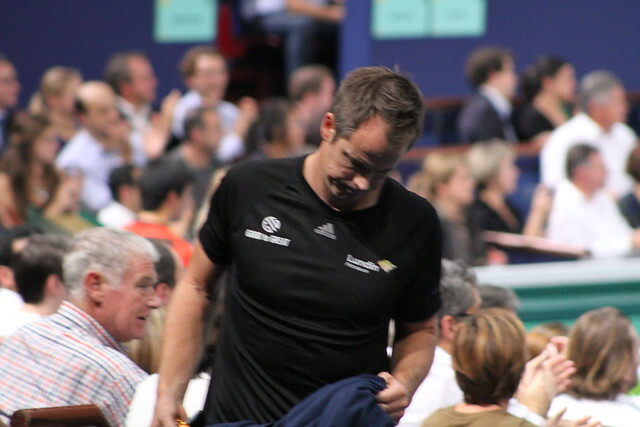 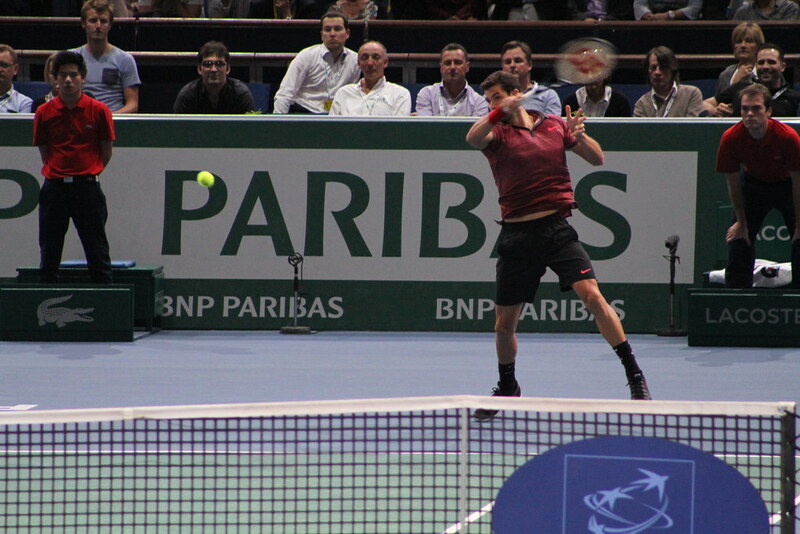 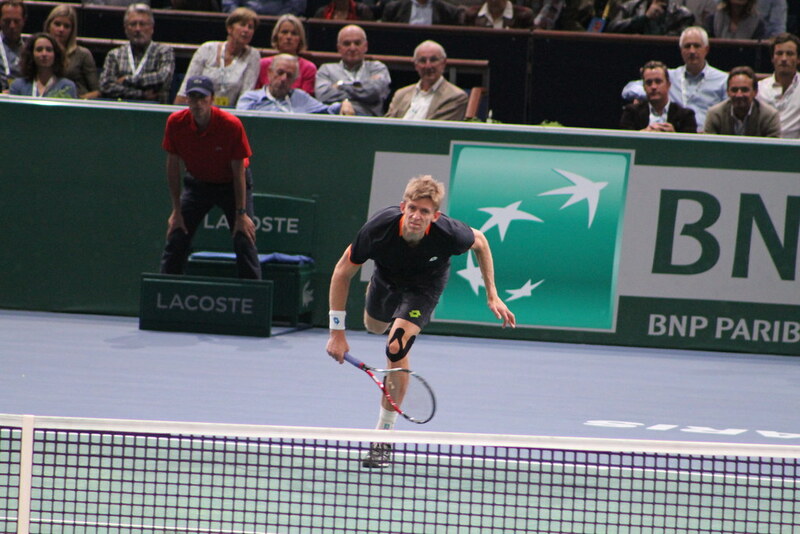 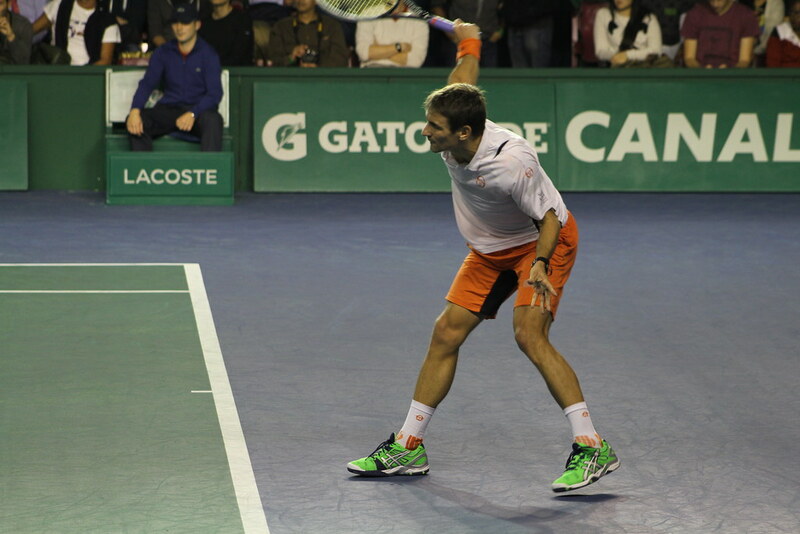 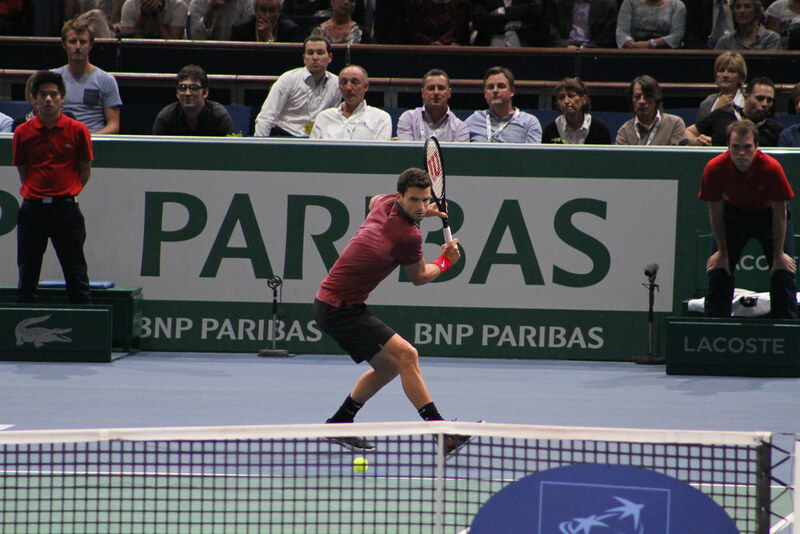 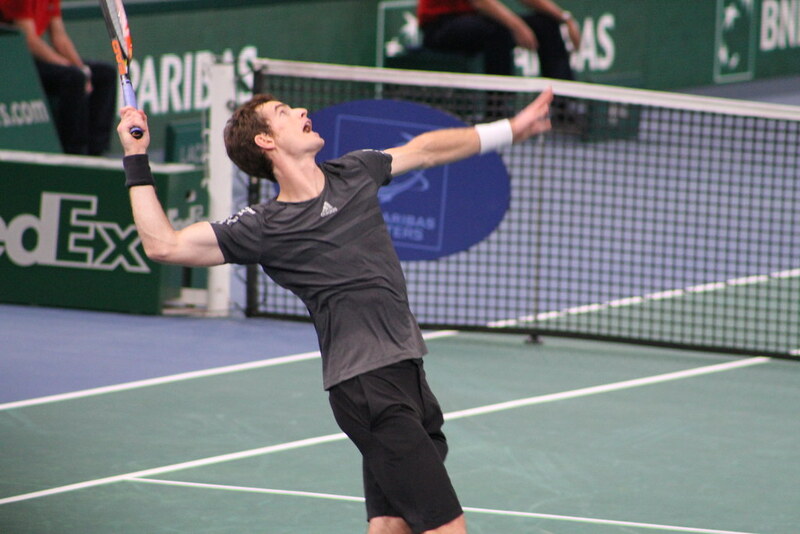 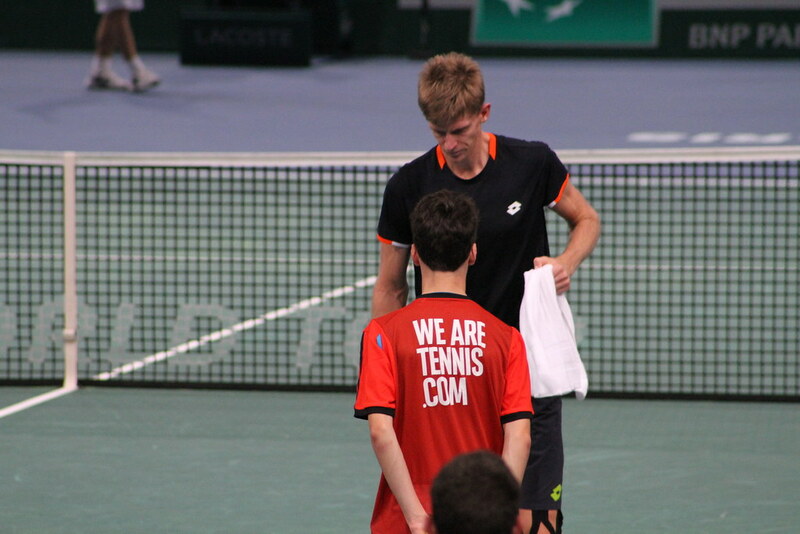 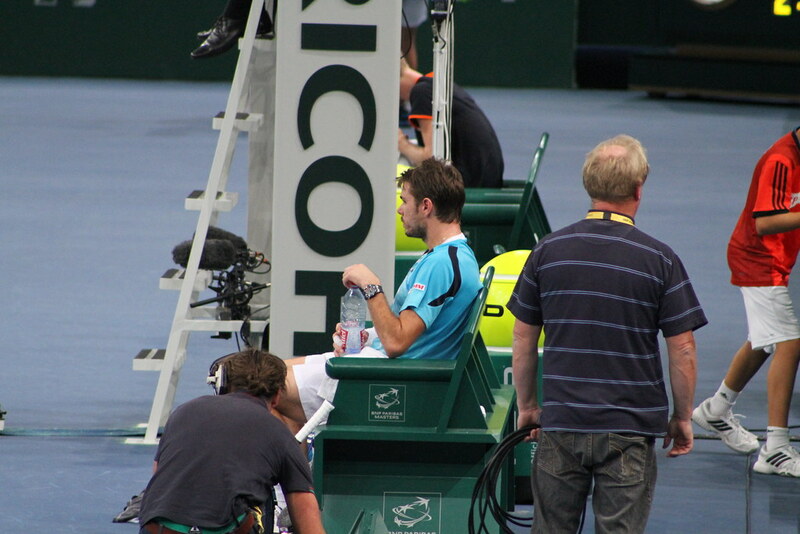 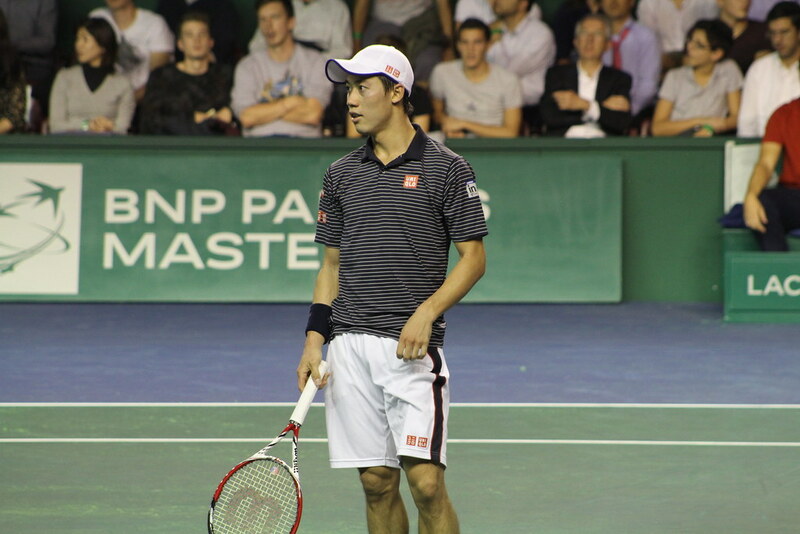 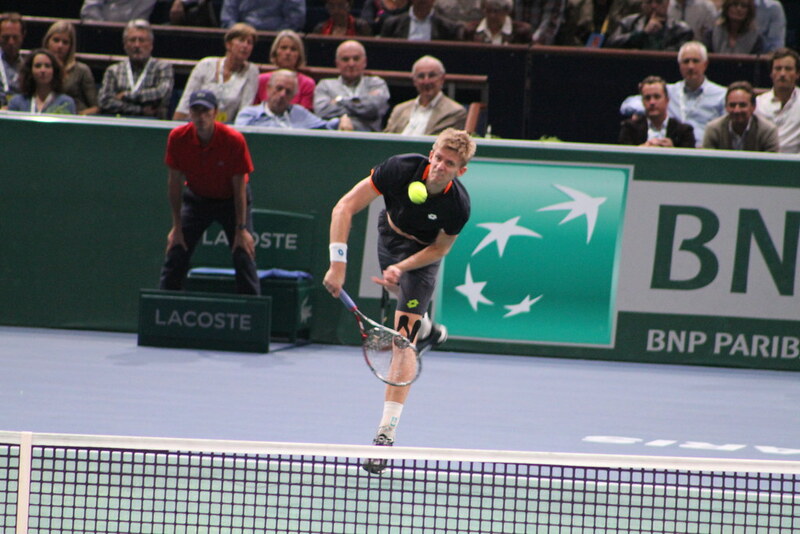 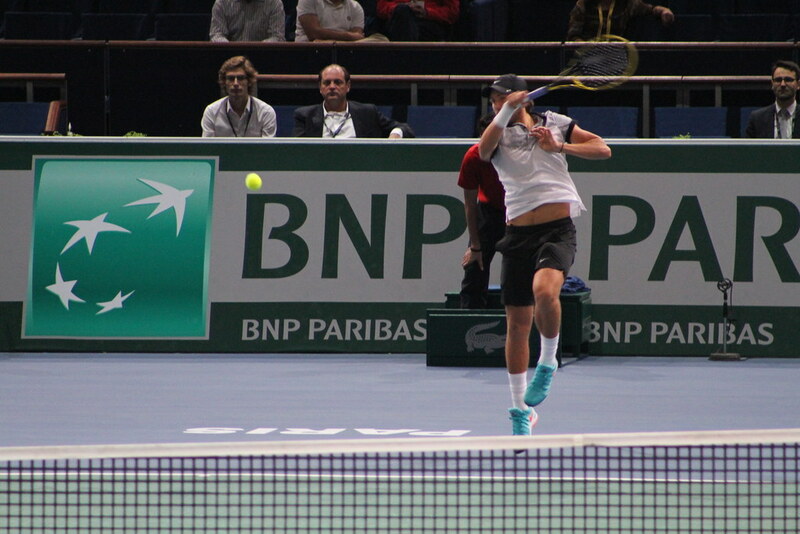 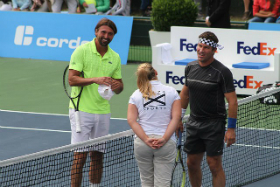 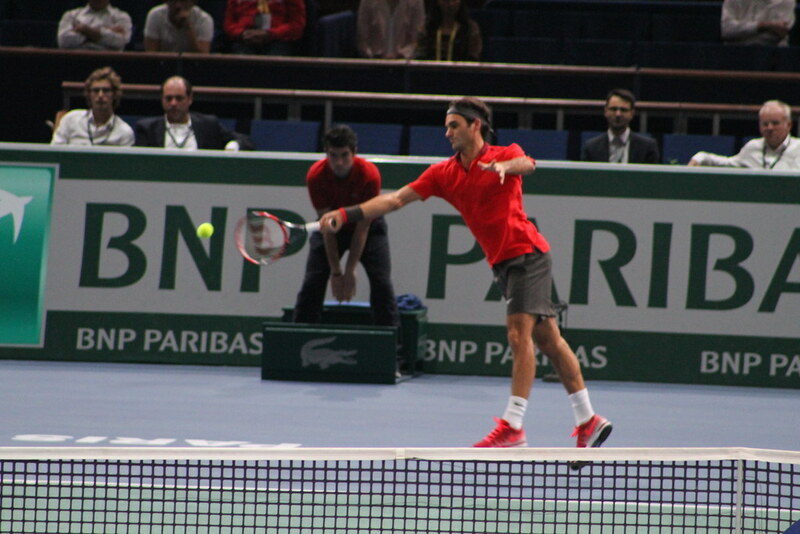 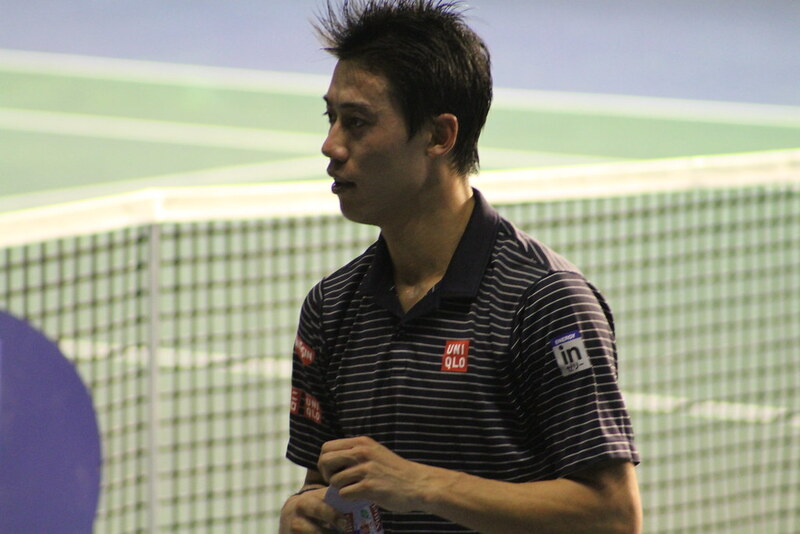 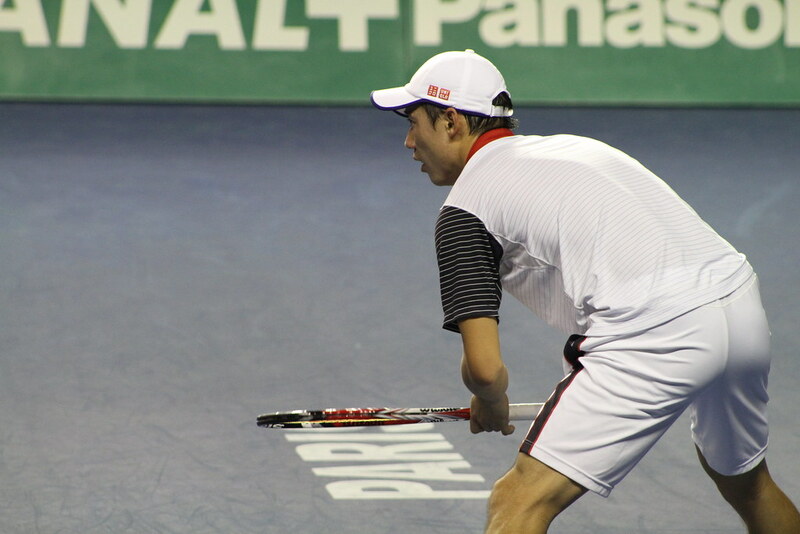 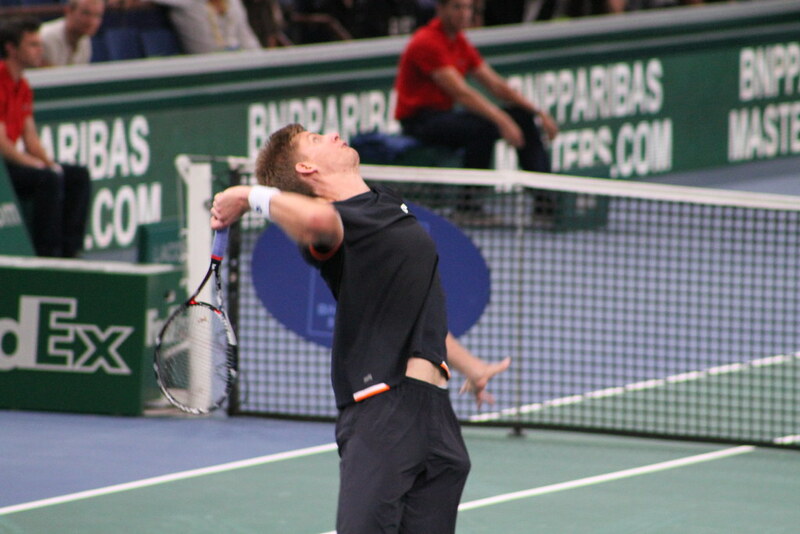 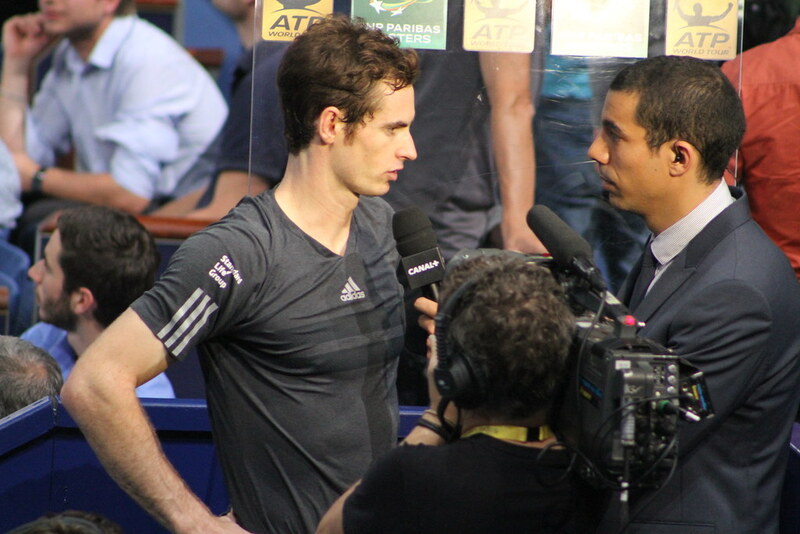 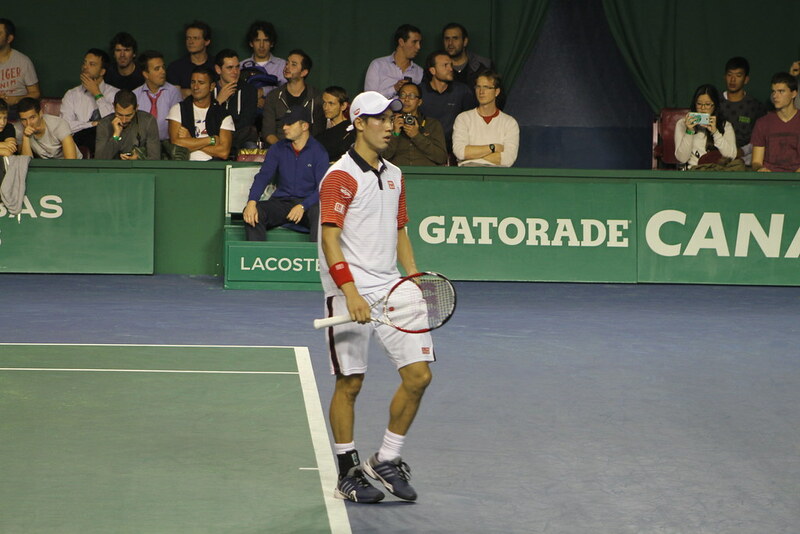 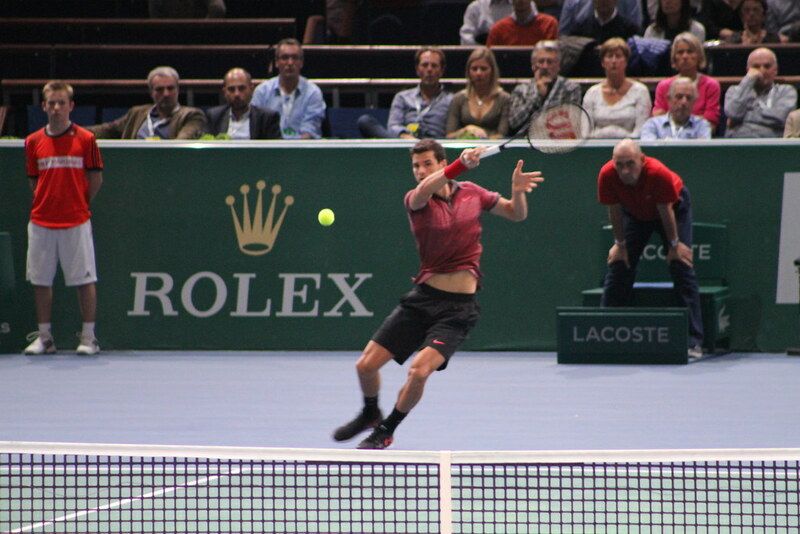 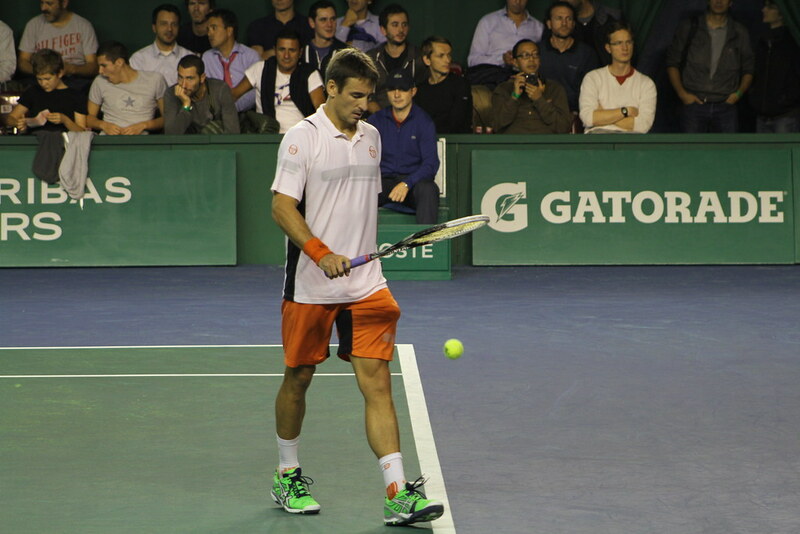 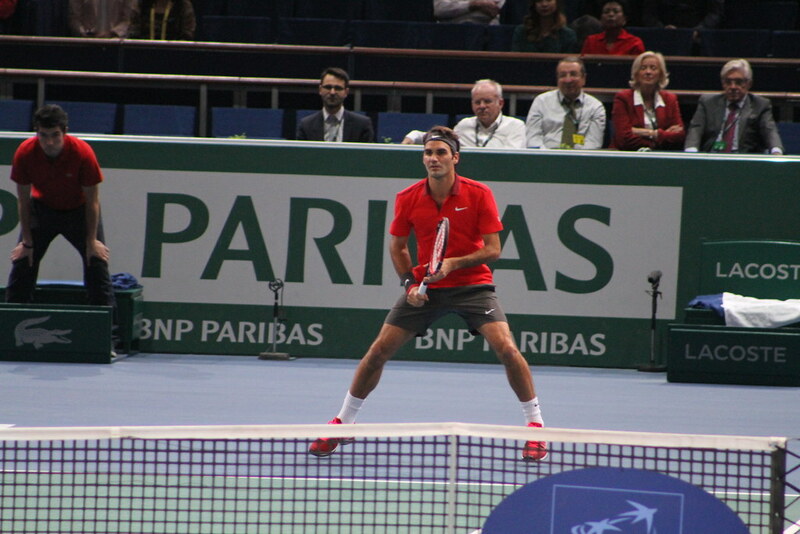 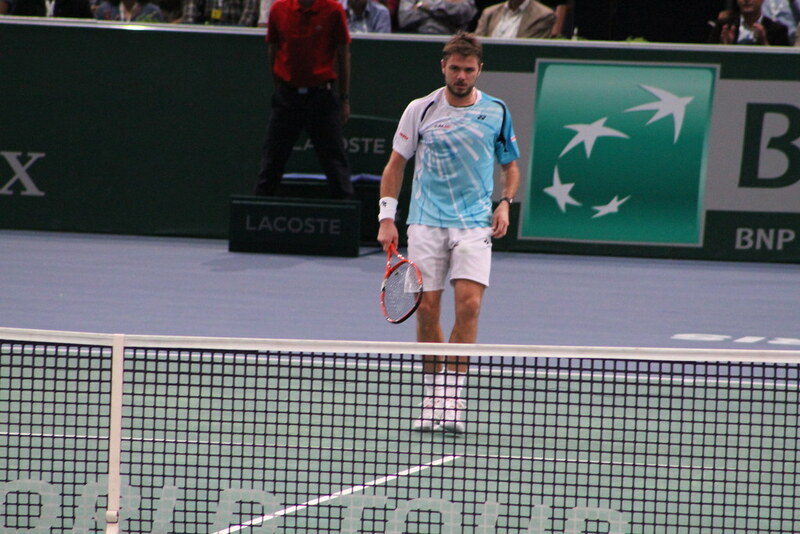 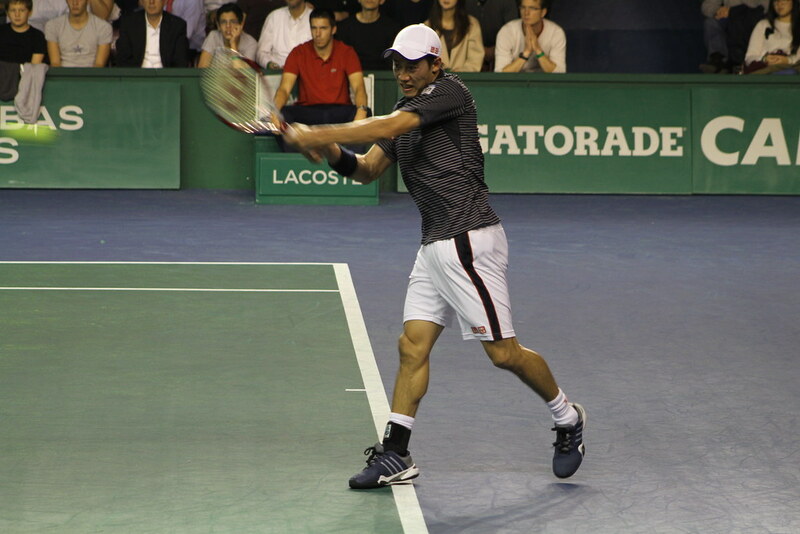 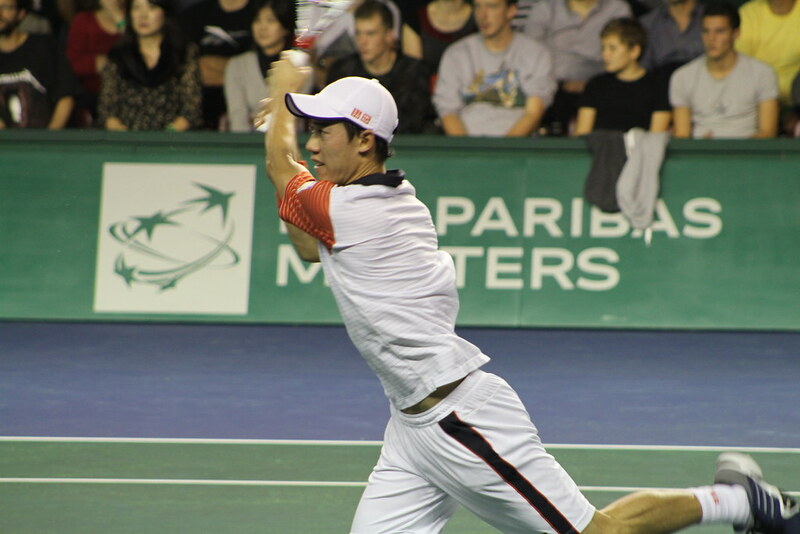 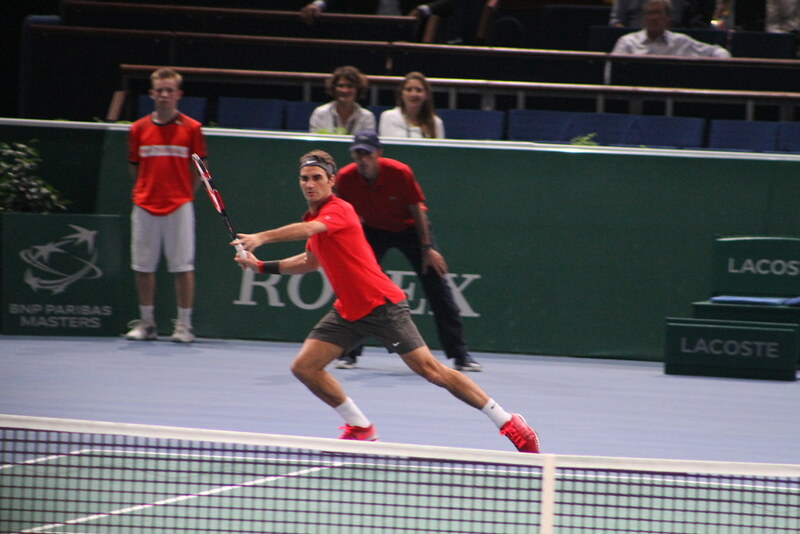 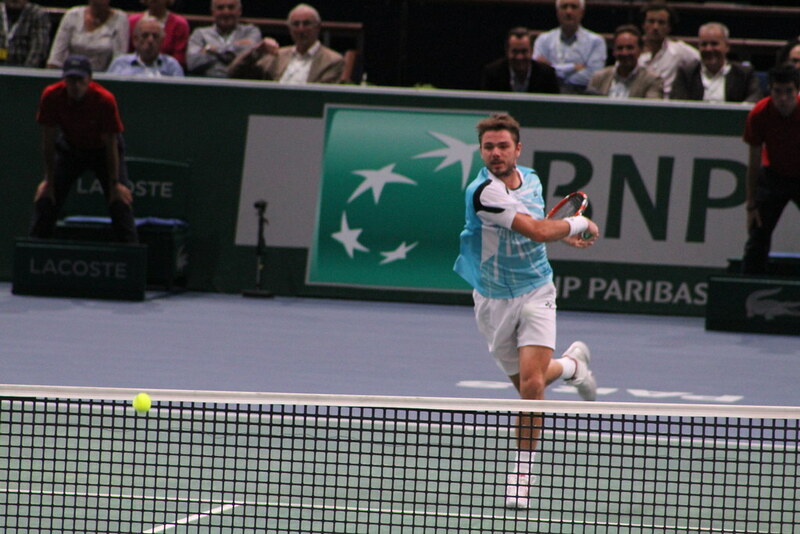 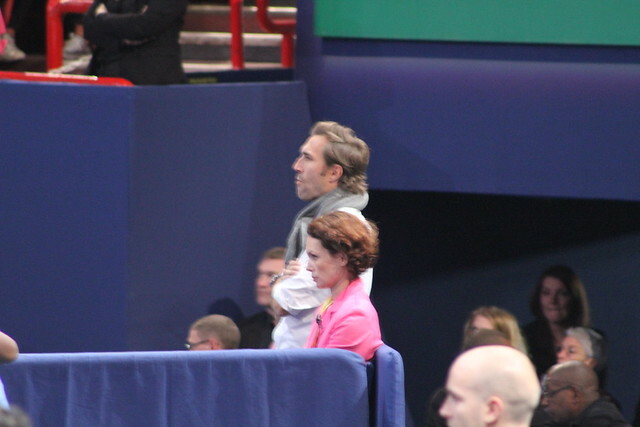 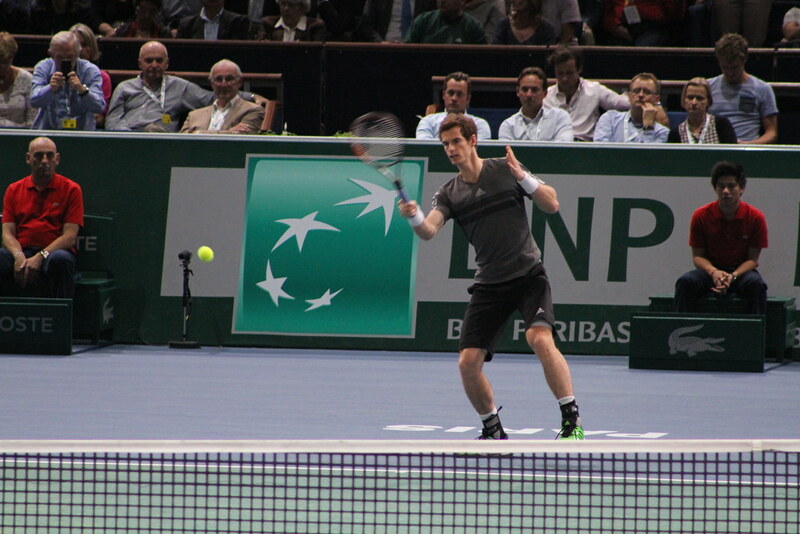 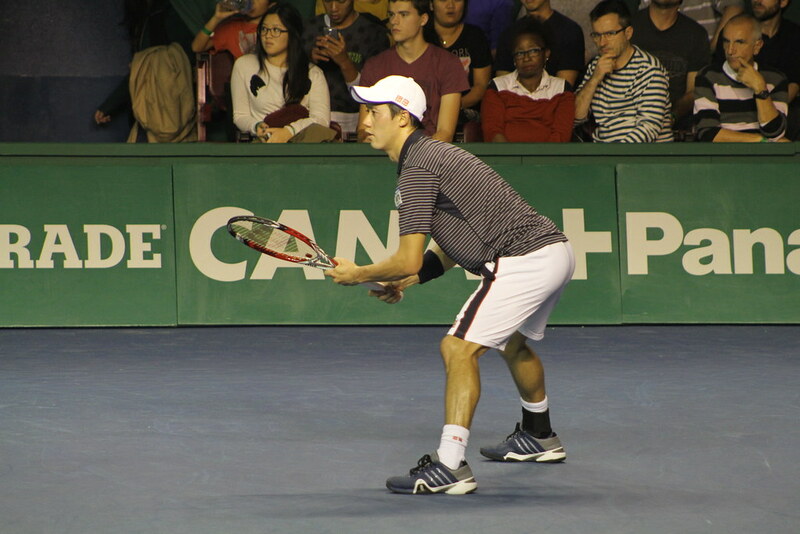 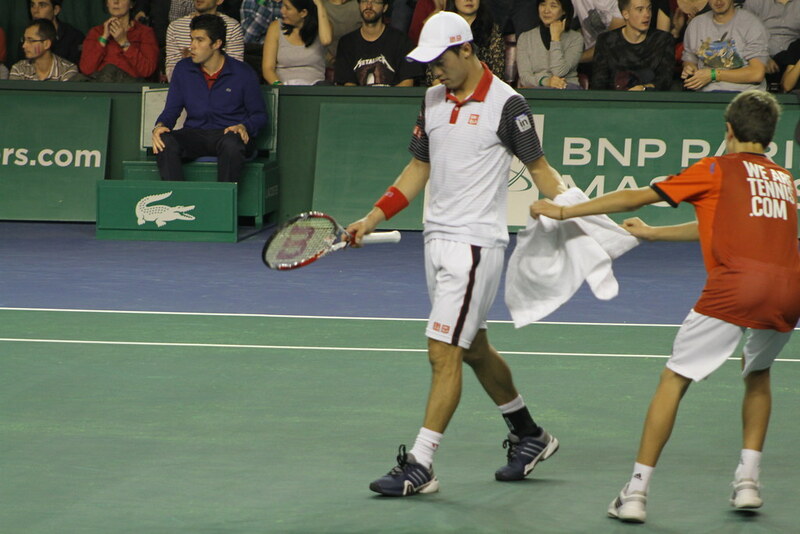 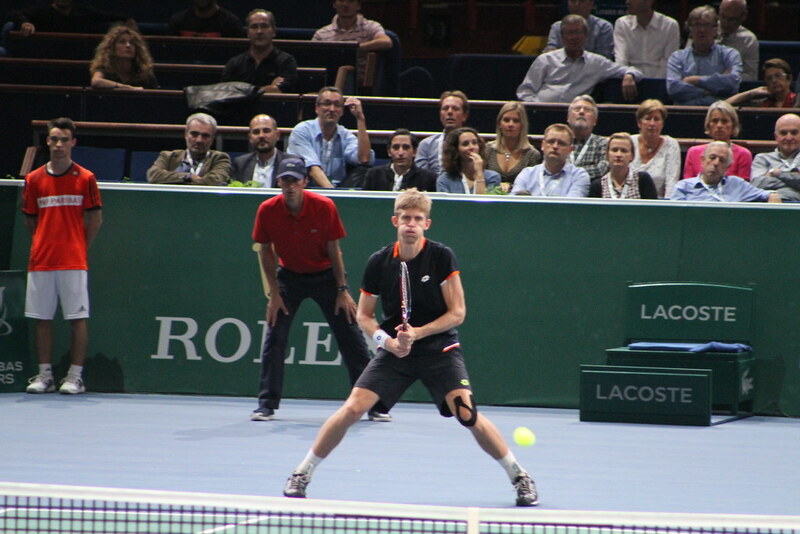 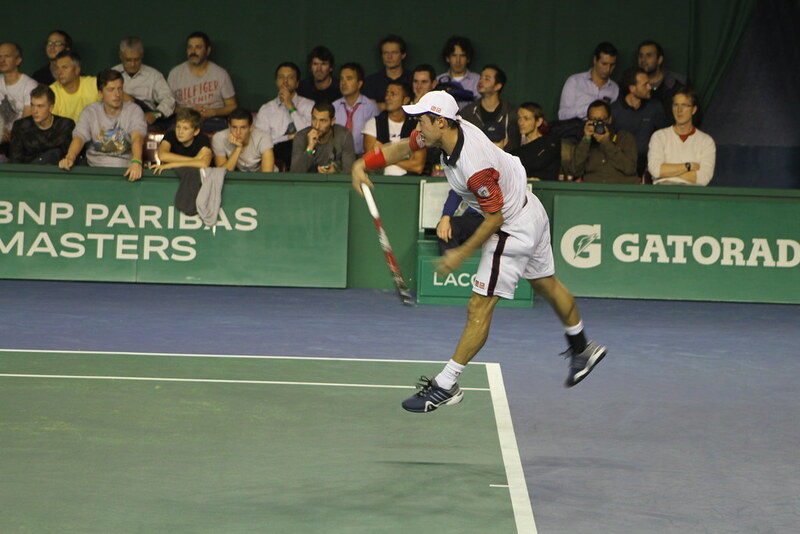 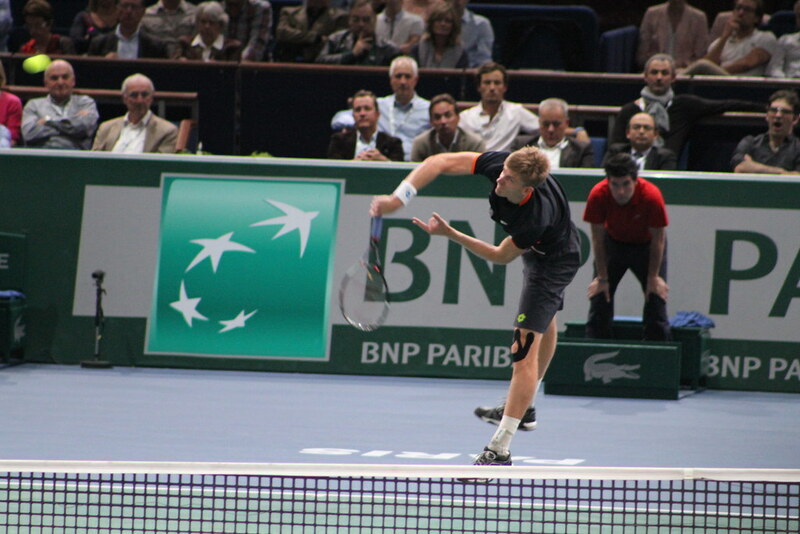 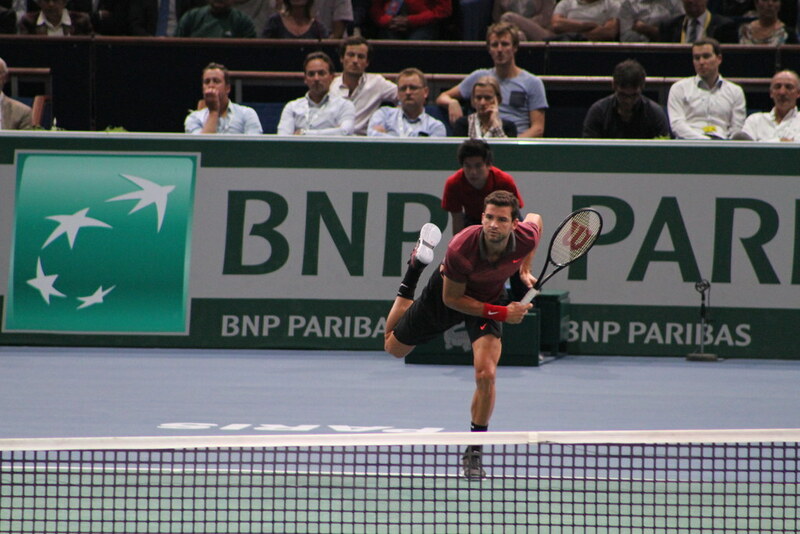 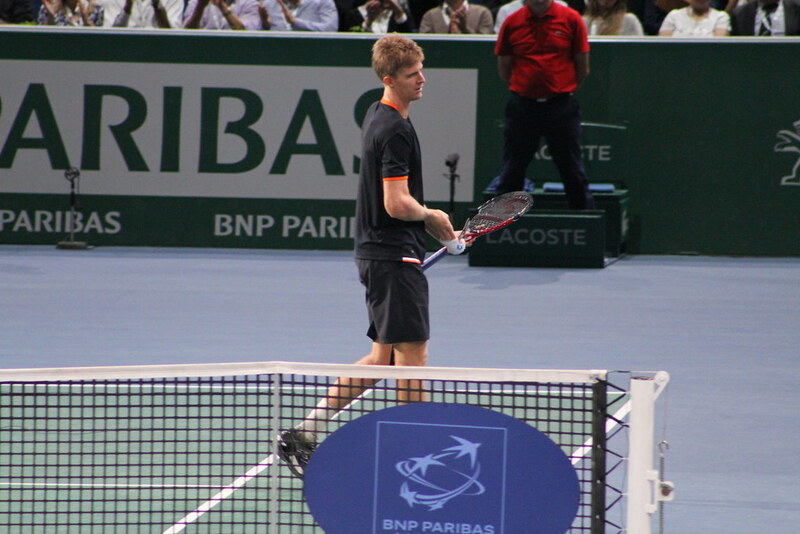 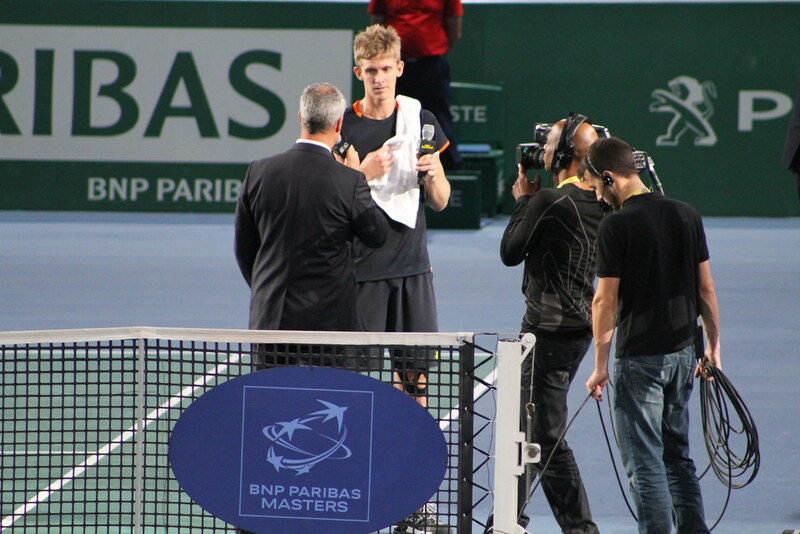 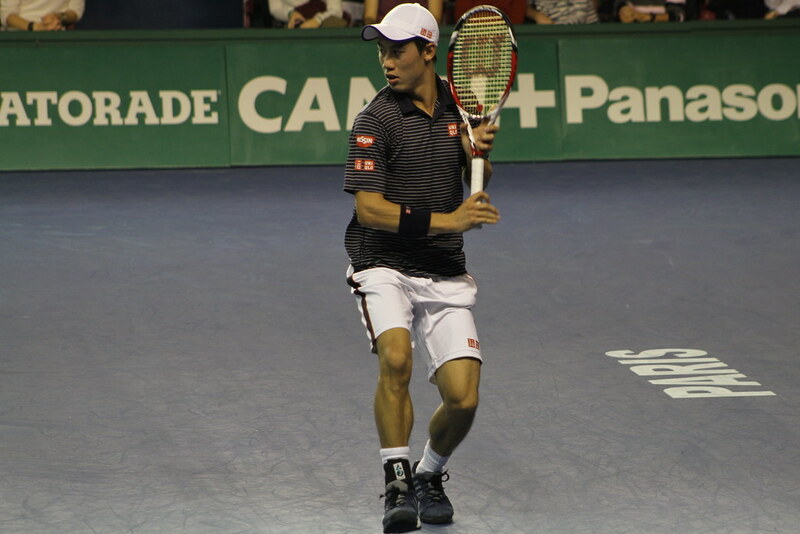 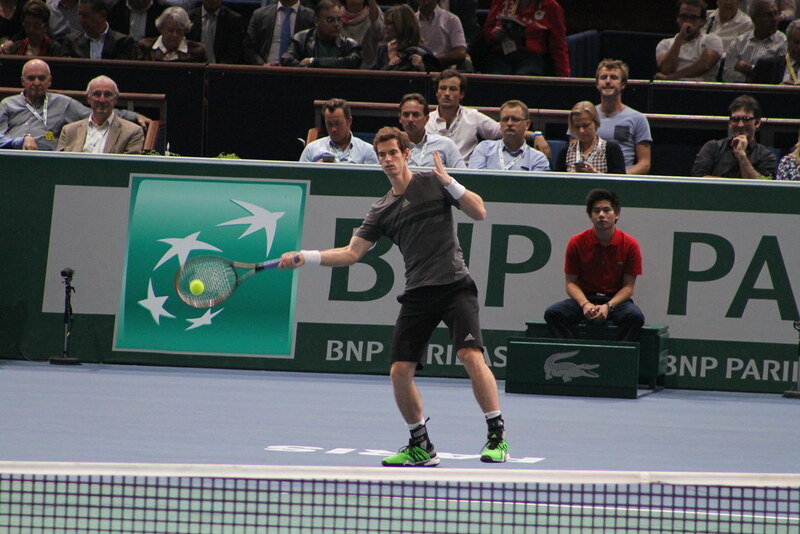 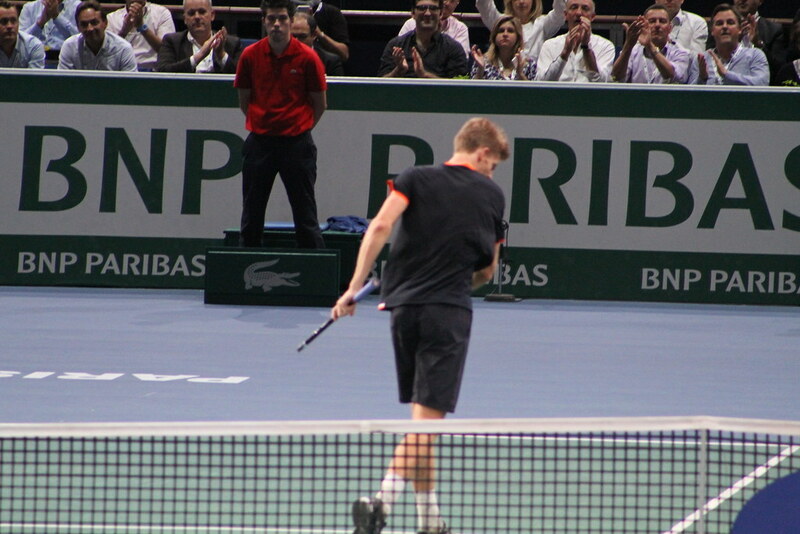 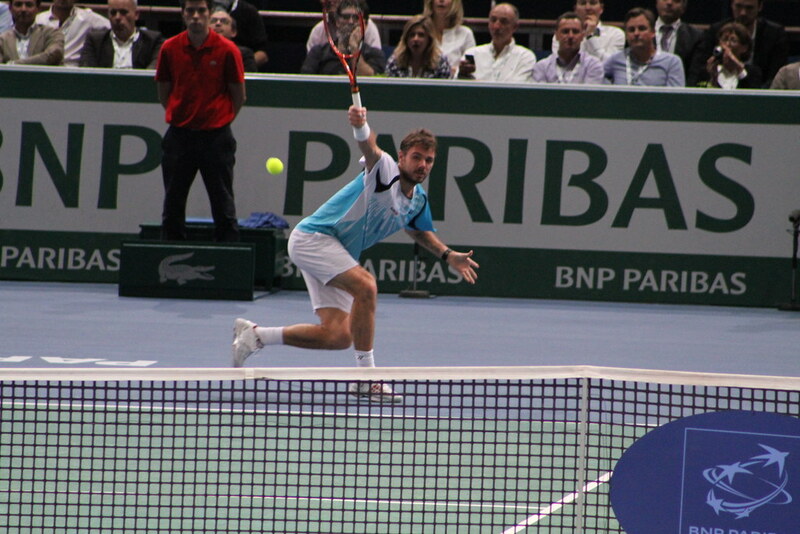 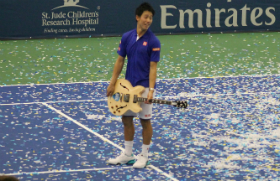 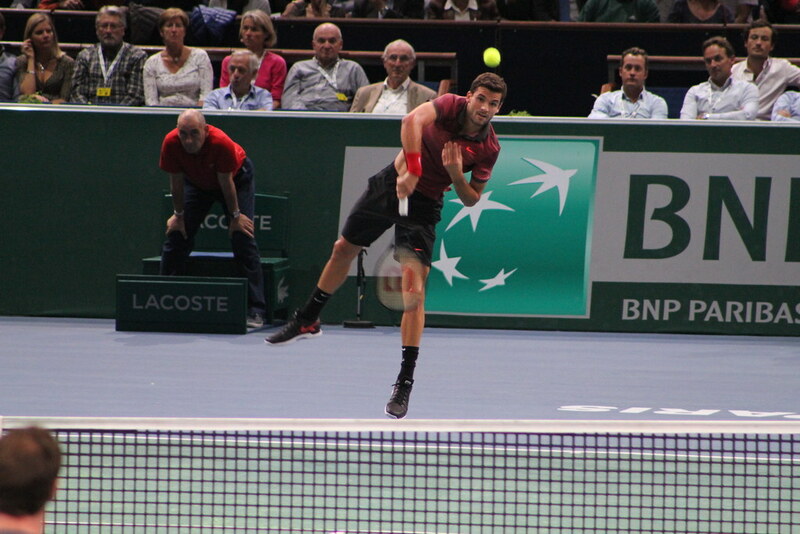 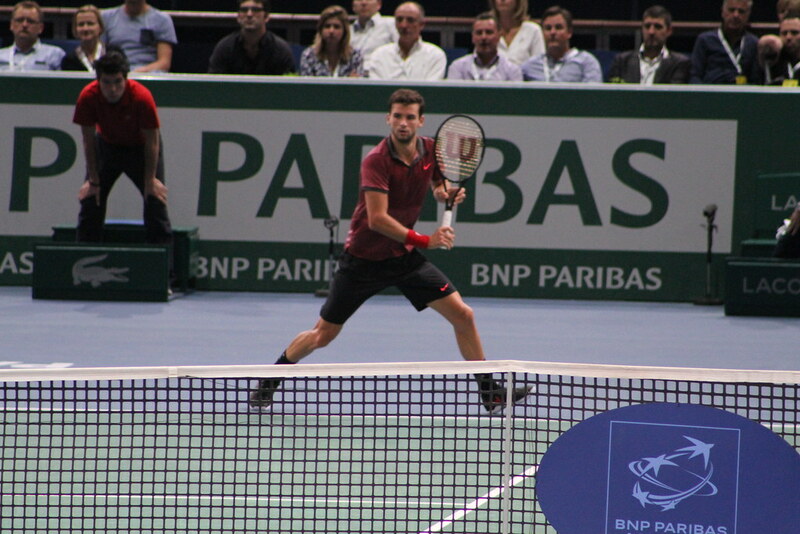 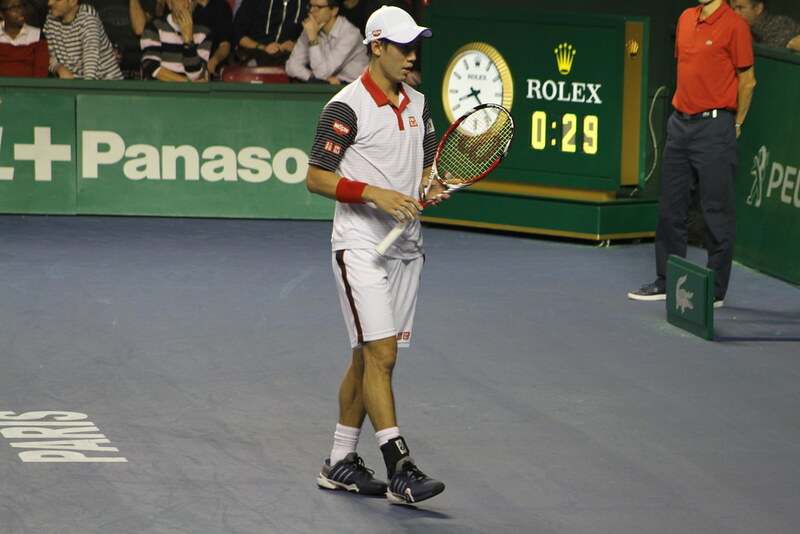 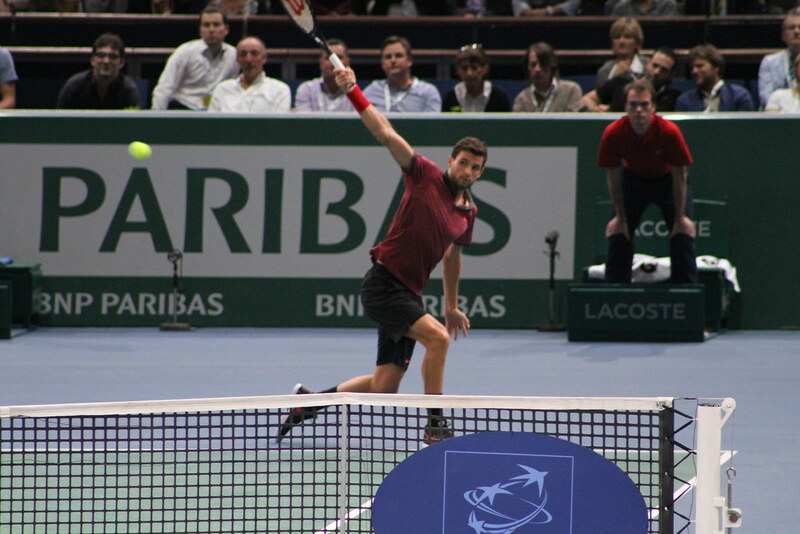 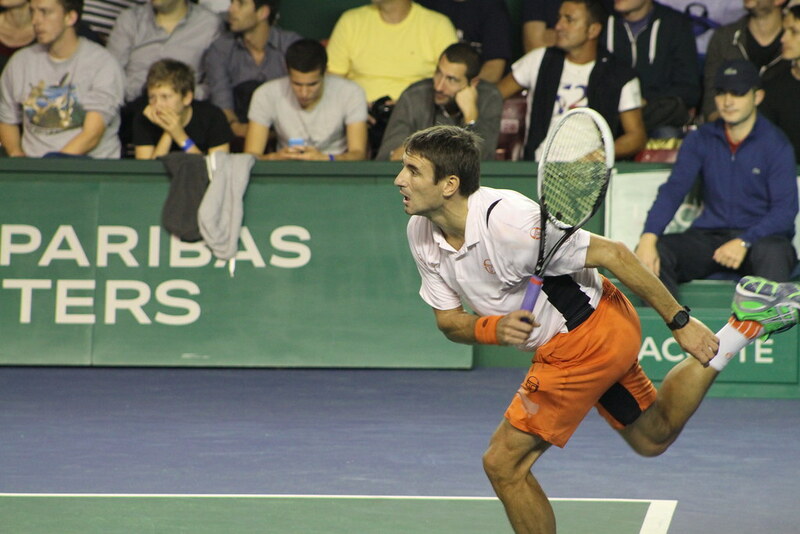 He played a solid match, with some big serving and clean groundstrokes. 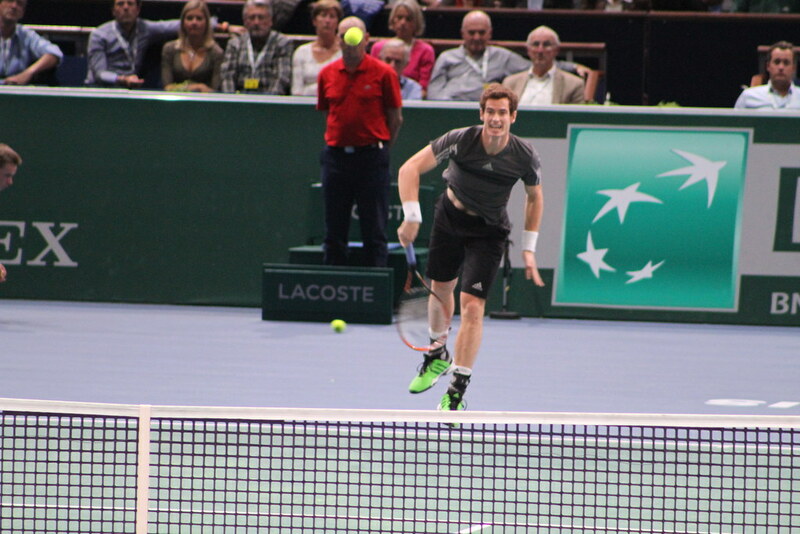 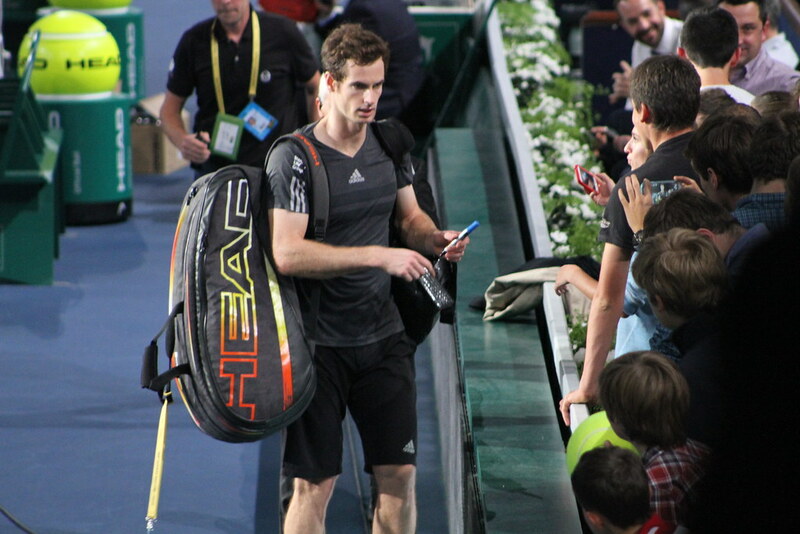 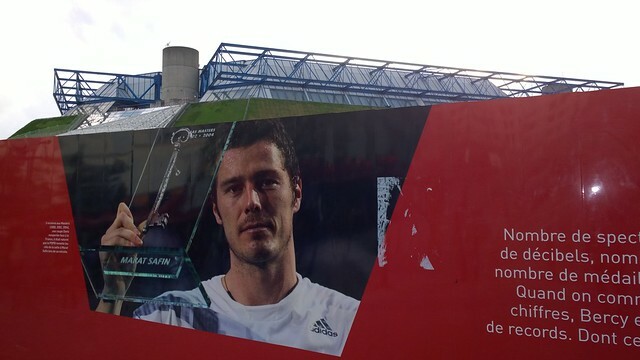 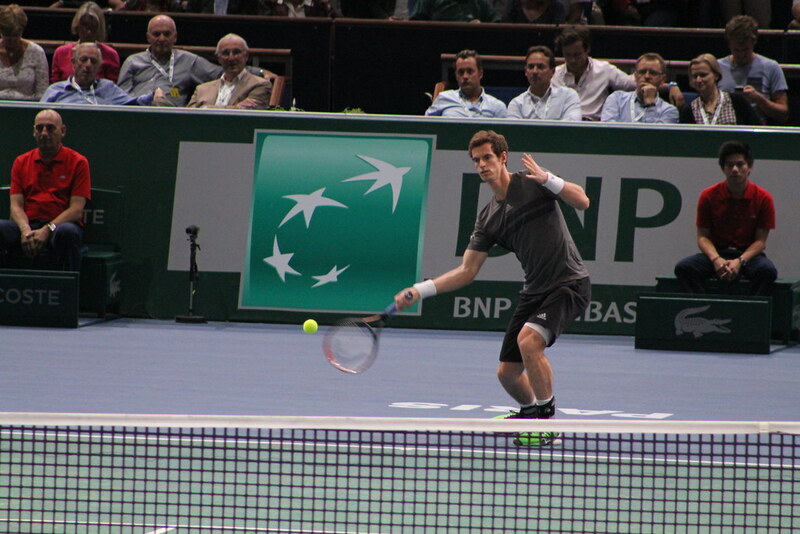 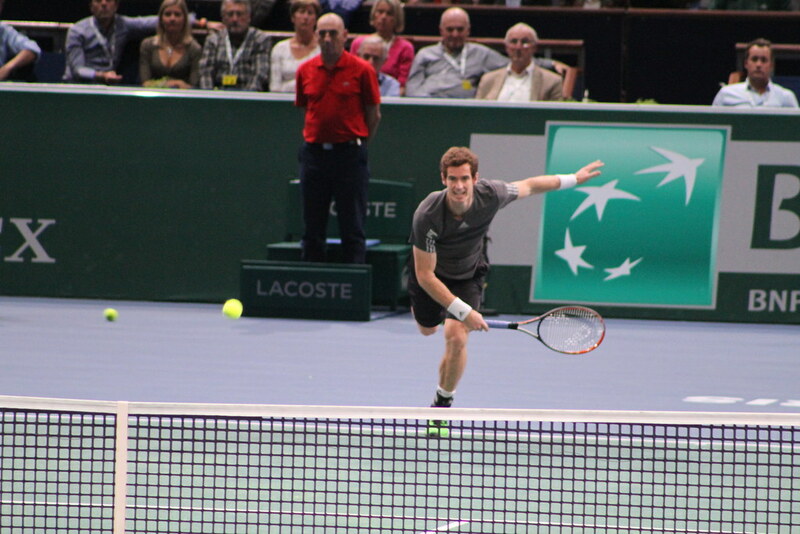 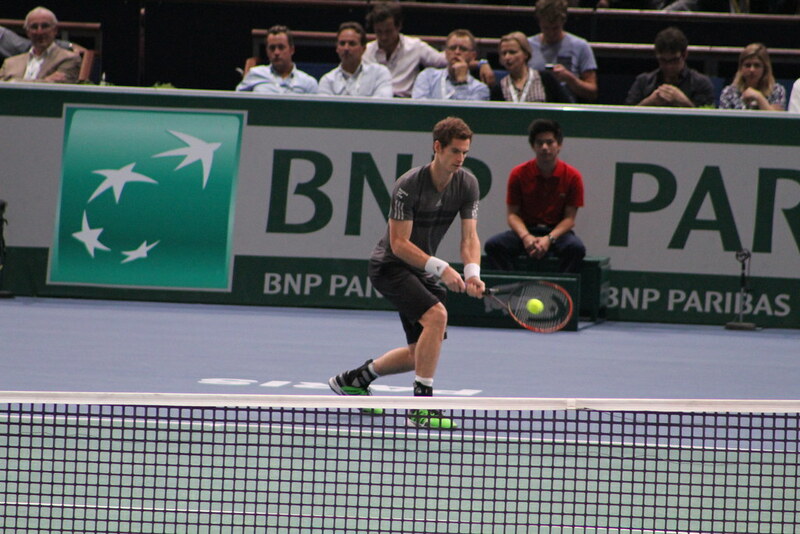 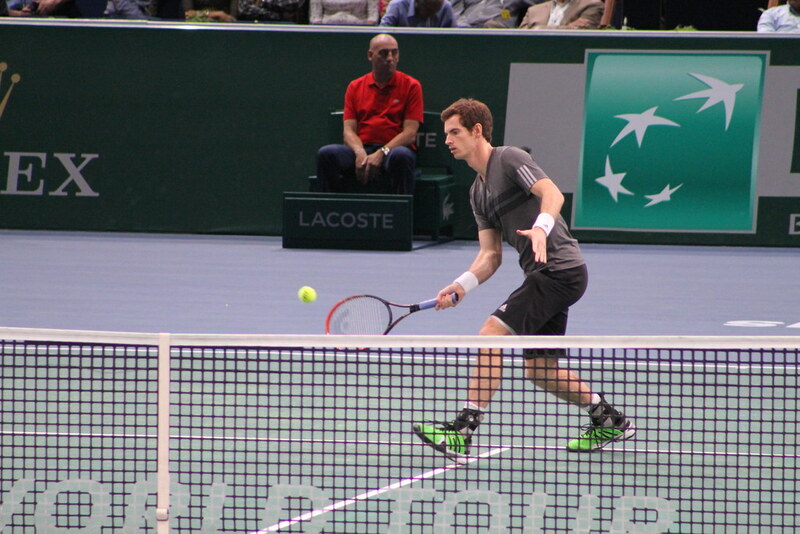 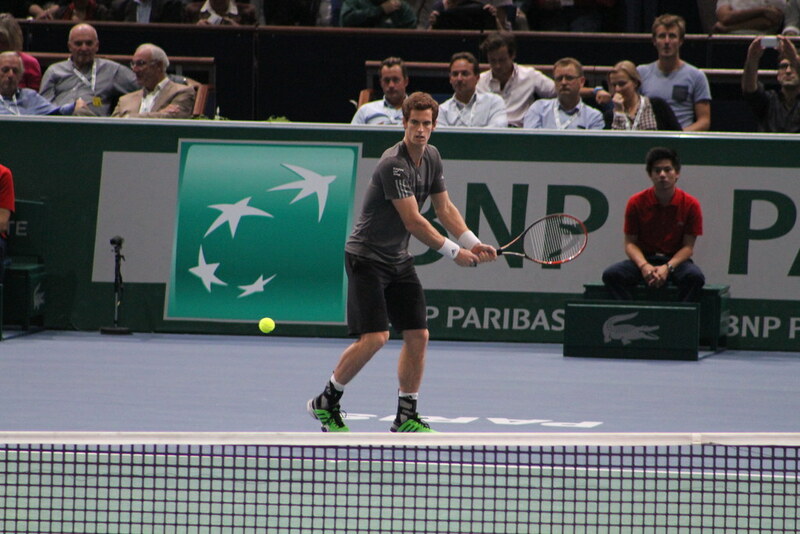 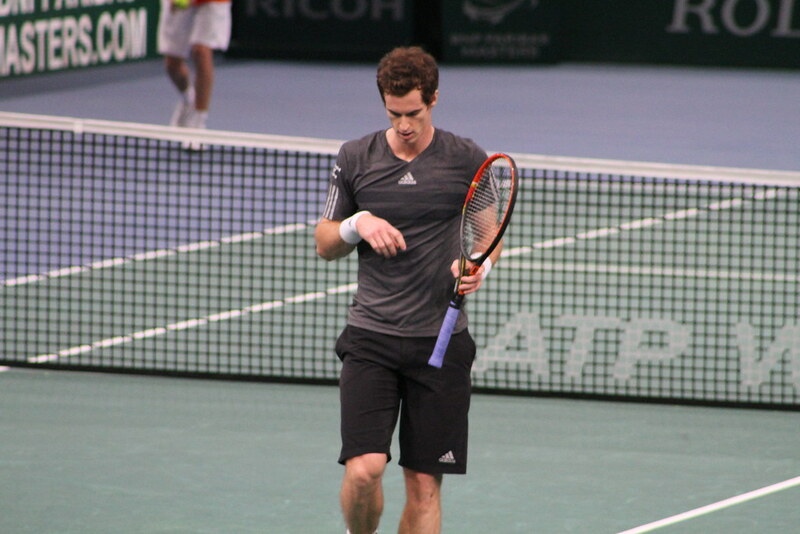 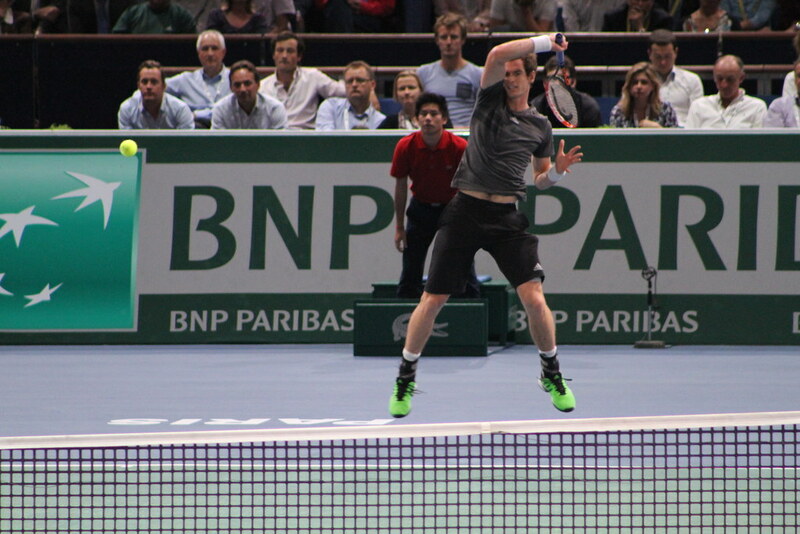 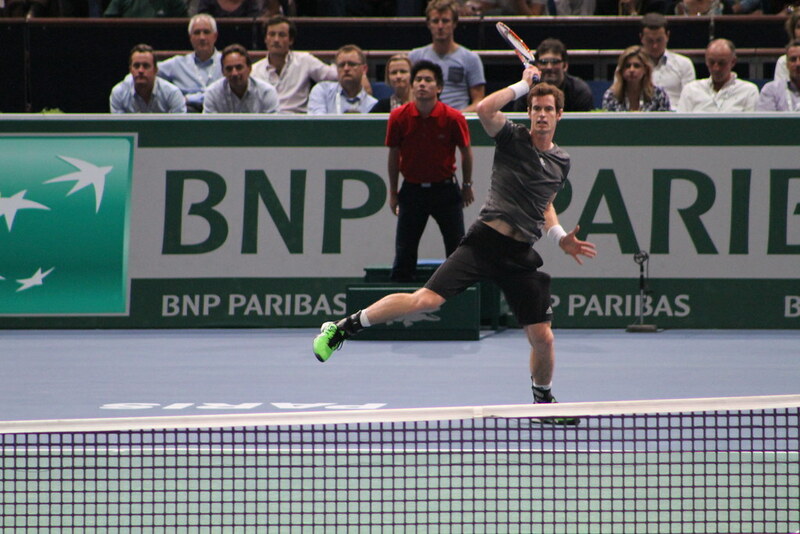 Andy Murray needed a win over Grigor Dimitrov to secure a spot at the London ATP Finals. 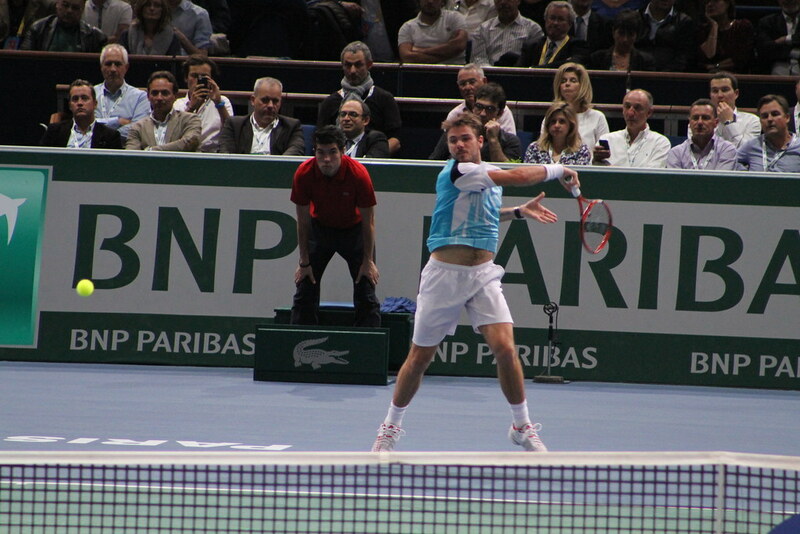 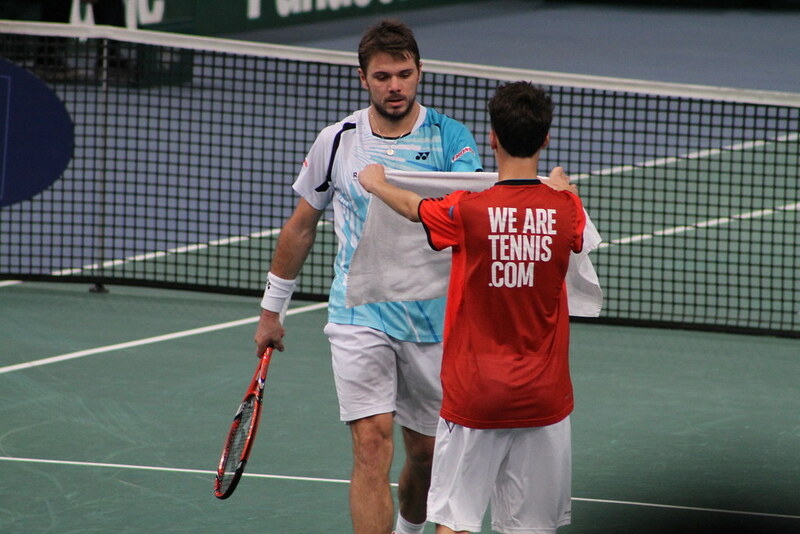 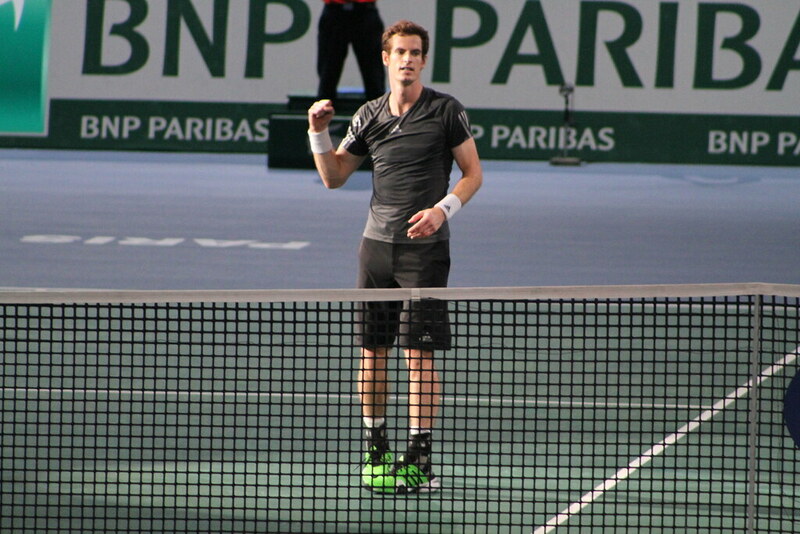 The Scot did it and did it in style as he dispatched Dimitrov 6-3 6-3 in a bit more than an hour. 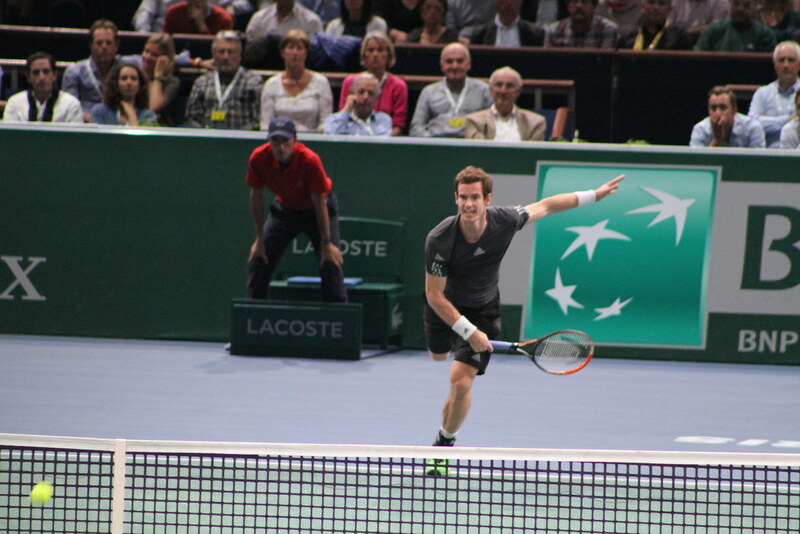 The world number 11 showed flashes of brilliance but the Scot was in control from the first to the last point of the match. 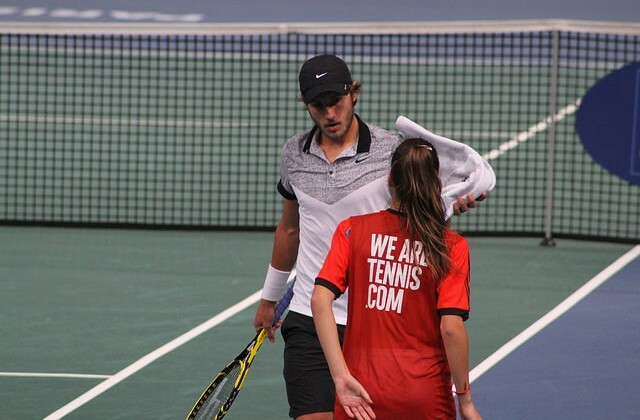 The 23 year-old Bulgarian had a great season with three titles on three different surfaces (Acapulco, Bucharest, Queen’s) and a semifinal at Wimbledon.